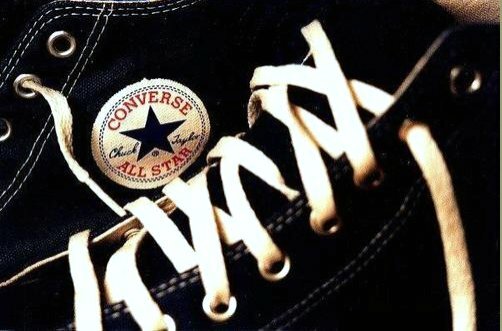 The classic American sneaker in different views and models. 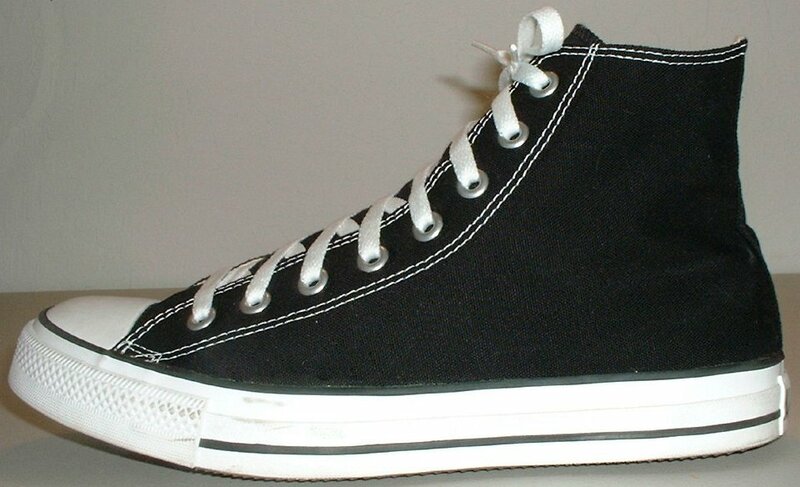 1 New Black High Top Chucks Right black hemp high top with hemp laces, inside patch view. 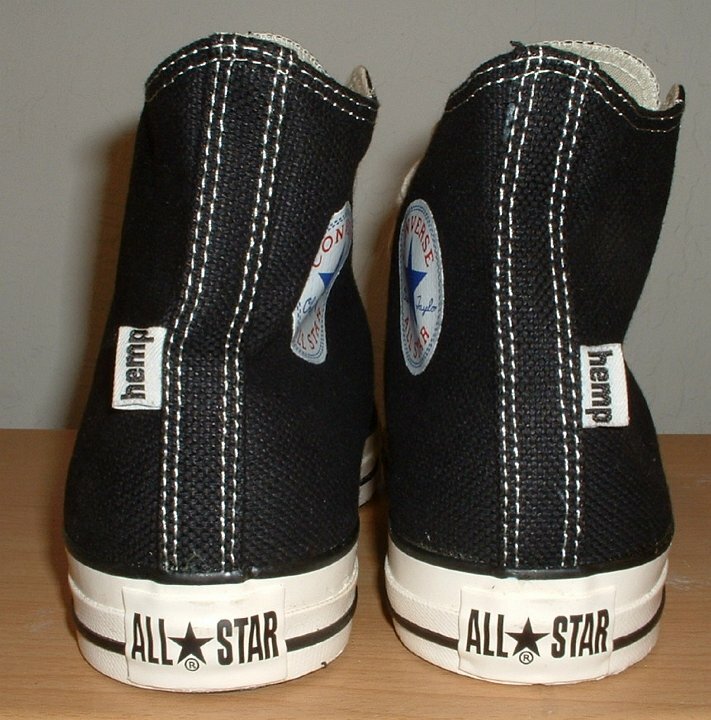 2 New Black High Top Chucks Right black hemp high top with hemp laces, outside view. 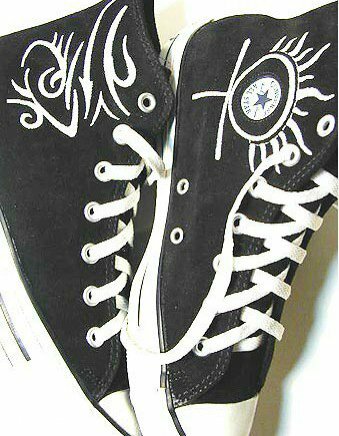 3 New Black High Top Chucks Left black hemp high top with hemp laces, inside patch view. 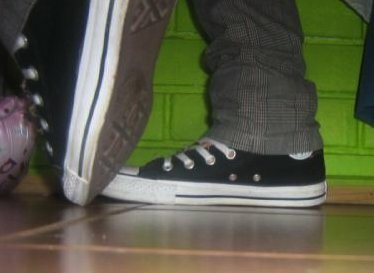 5 New Black High Top Chucks Black hemp high tops, rear view. 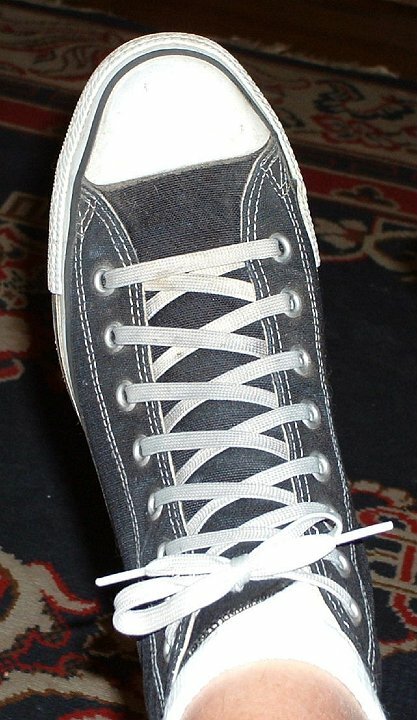 6 New Black High Top Chucks Black hemp high tops with hemp laces, front view. 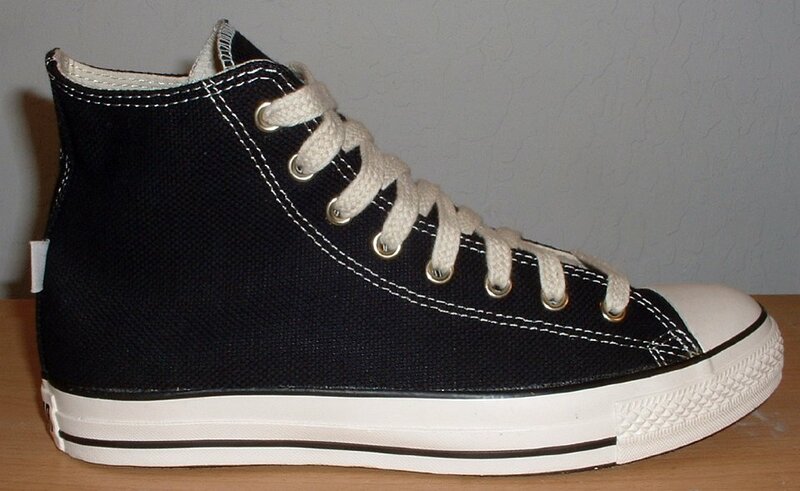 8 New Black High Top Chucks Black hemp high tops with hemp laces, angled front views. 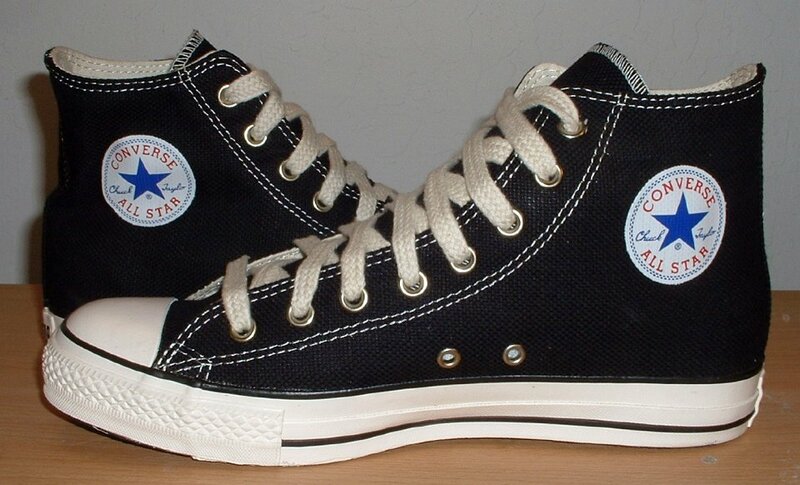 9 New Black High Top Chucks New black hemp high tops with hemp laces, inside patch views. 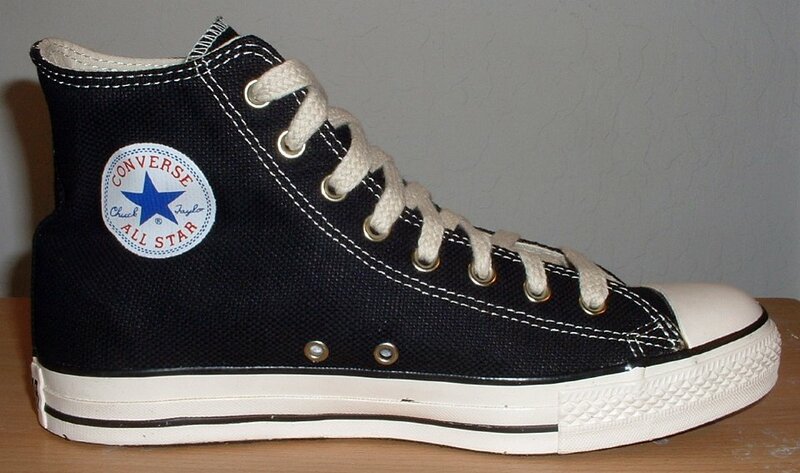 10 New Black High Top Chucks New black hemp high tops with hemp laces, inside patch and sole views. 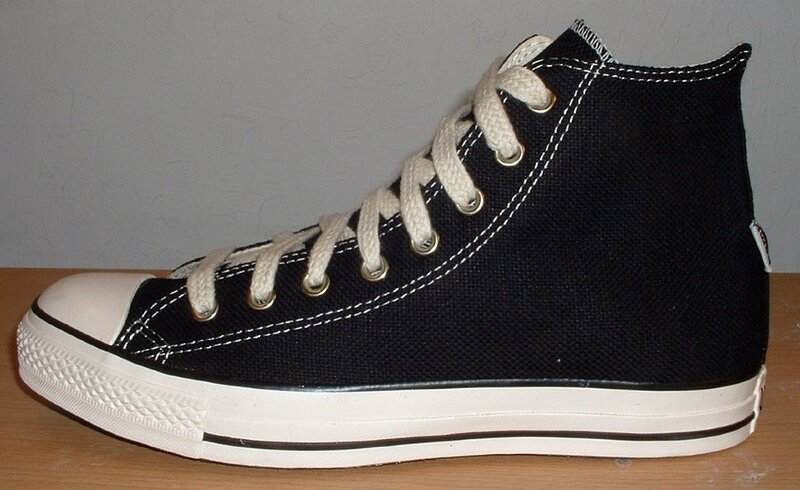 11 New Black High Top Chucks Right black hemp high top with narrow straight hemp laces, angled inside patch view. 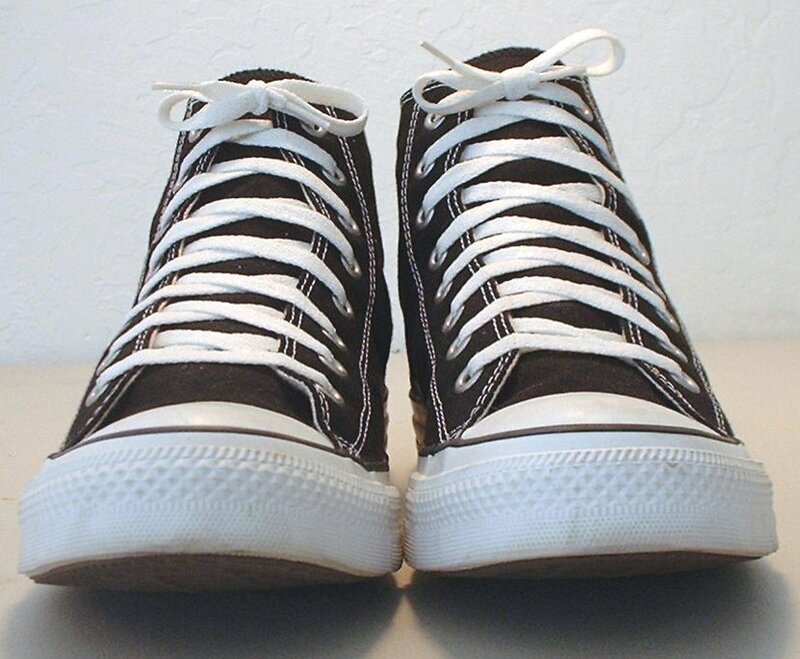 12 New Black High Top Chucks New black hemp high tops with straight hemp laces and box, top view. 13 New Black High Top Chucks New black hemp high tops with straight hemp laces and box, side view. 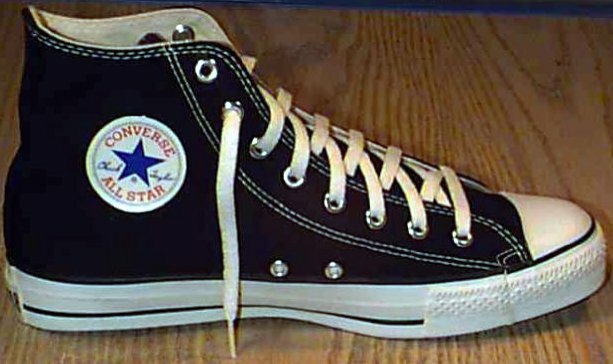 14 New Black High Top Chucks Left black high top, inside patch view. 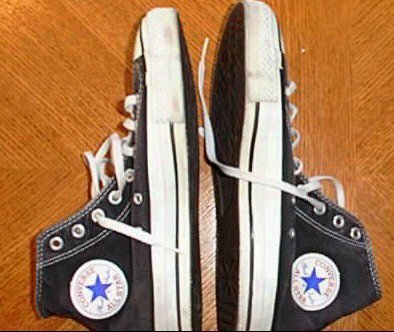 15 New Black High Top Chucks New left black high top, inside patch view. 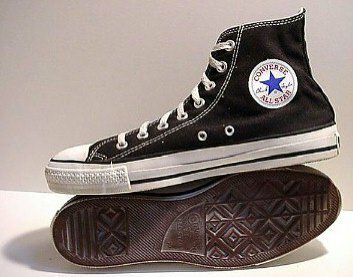 17 New Black High Top Chucks Black high top, inside patch and sole views. 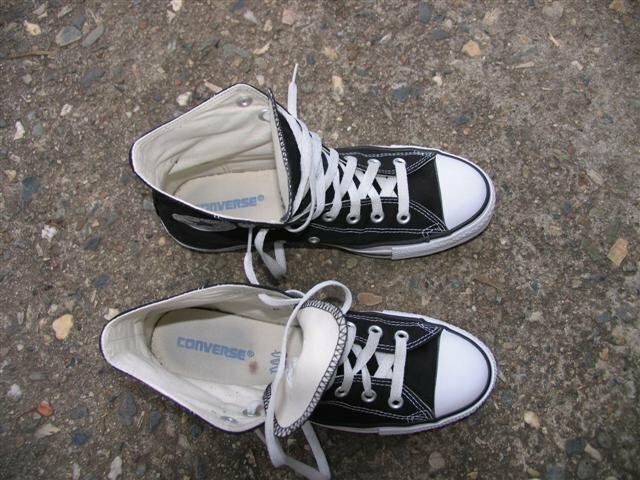 18 New Black High Top Chucks Left black high top, angled inside patch view. 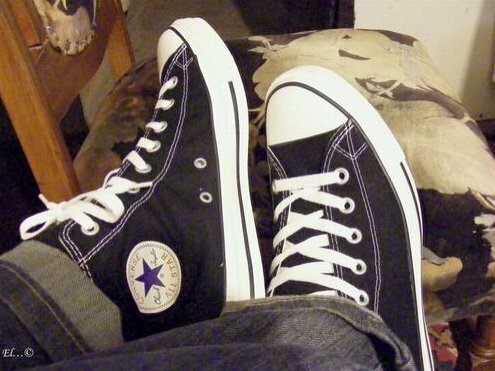 20 New Black High Top Chucks New right black high top, inside patch view. 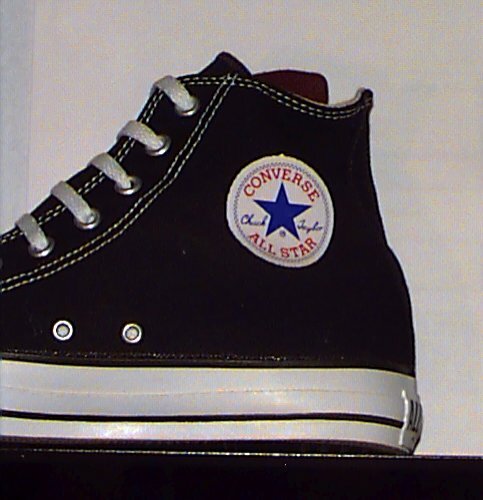 21 New Black High Top Chucks New left black high top, inside patch view. 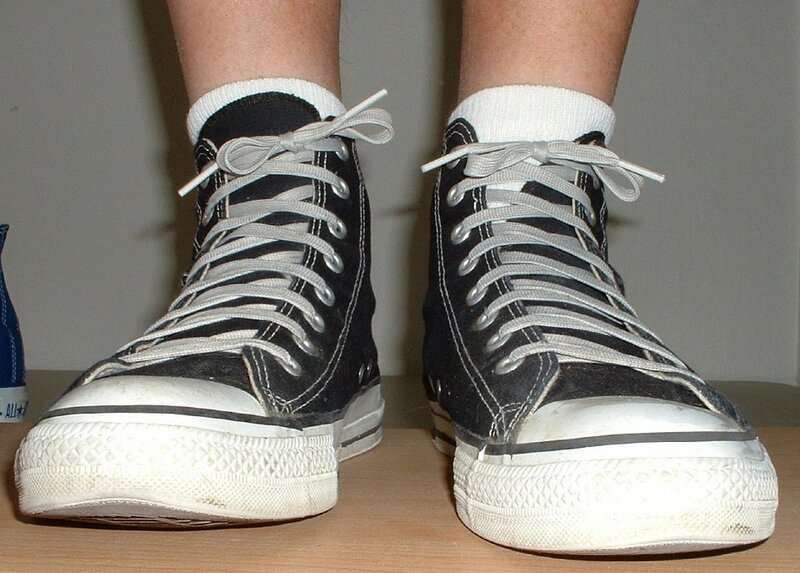 22 New Black High Top Chucks New black high tops, left shoe without laces, angled top and side views. 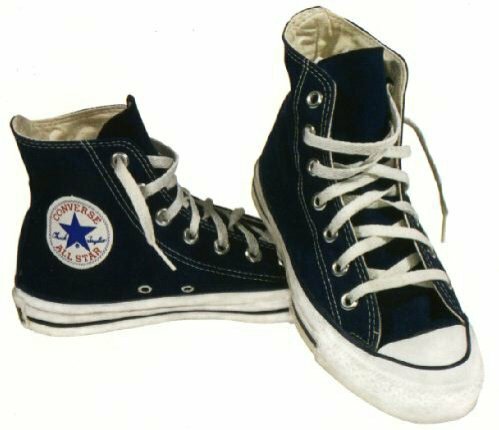 23 New Black High Top Chucks New right black high top with navy blue low cut, side views. 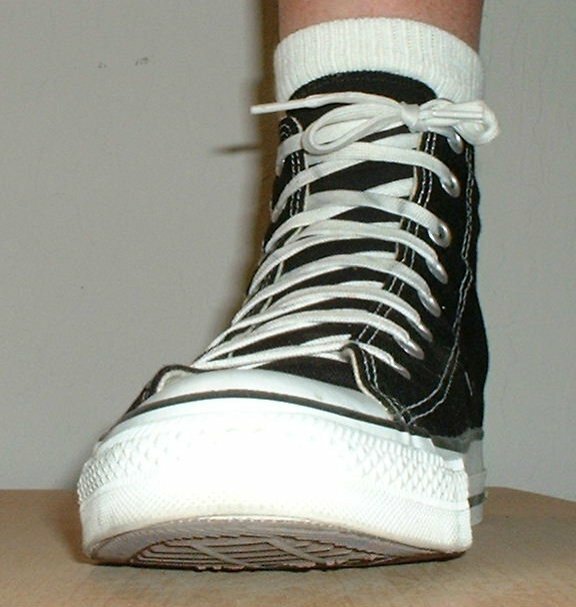 24 New Black High Top Chucks Black high tops, angled inside patch views. 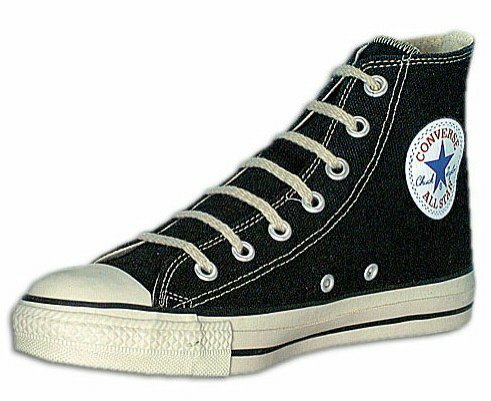 25 New Black High Top Chucks Black high tops, angled top front and inside patch views. 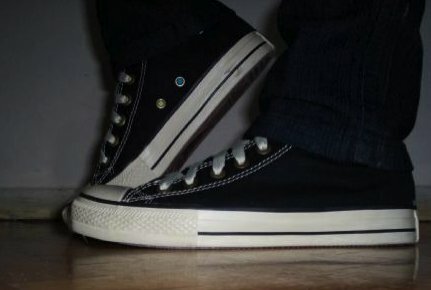 26 New Black High Top Chucks New black high tops, inside patch and sole views. 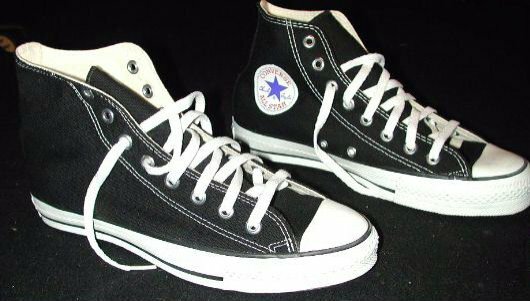 27 New Black High Top Chucks New black left high top, outside view. 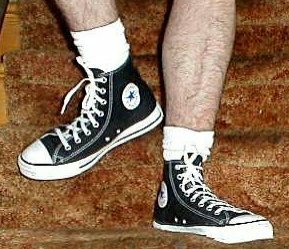 28 New Black High Top Chucks New black left high top, inside patch view. 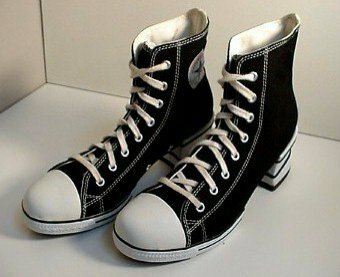 29 New Black High Top Chucks New left made in USA black high top, rear view. 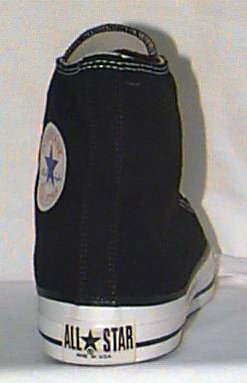 30 New Black High Top Chucks New left made in USA black high top, front view. 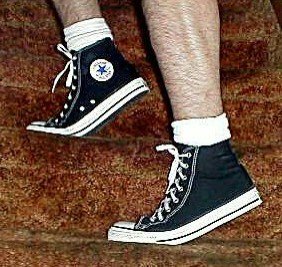 31 New Black High Top Chucks New made in USA black high tops, rear view. 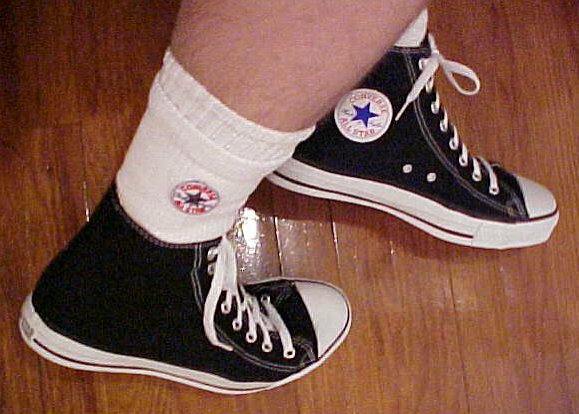 32 New Black High Top Chucks New left black high top, inside patch view. 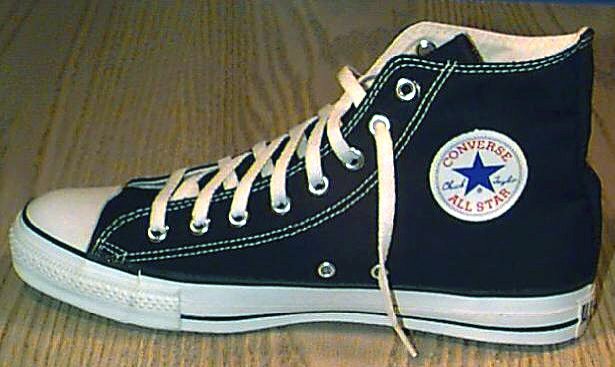 33 New Black High Top Chucks New right black high top, inside patch view. 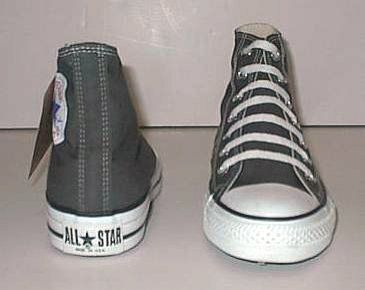 34 New Black High Top Chucks New left black high top, outside view. 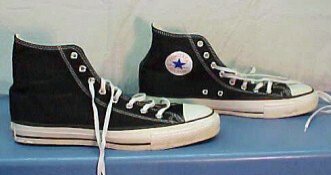 35 New Black High Top Chucks New right black high top, outside view. 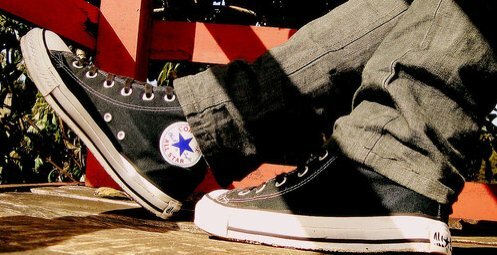 36 New Black High Top Chucks New black high tops, inside patch and sole views. 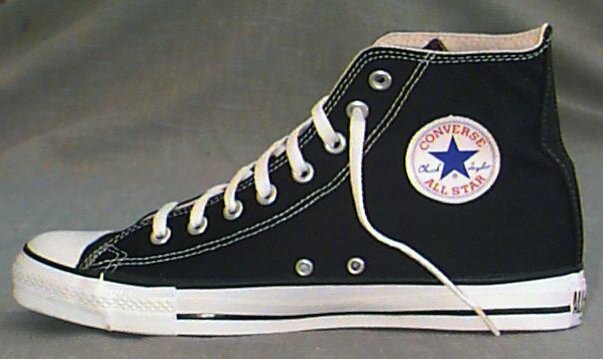 37 New Black High Top Chucks New black high tops, top to top side view. 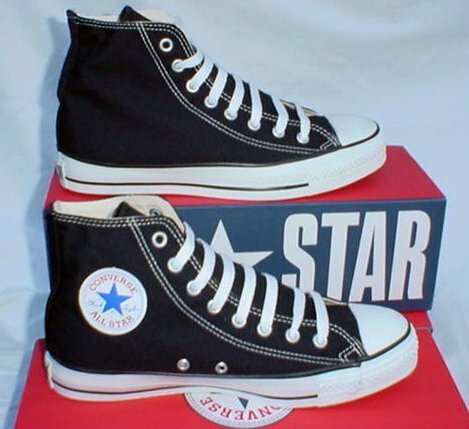 38 New Black High Top Chucks New vintage black high tops with box, angled inside patch and sole views. 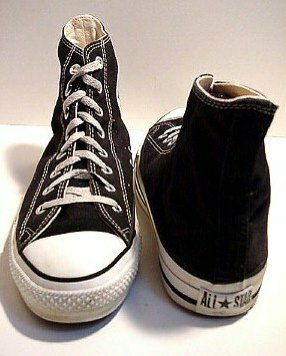 39 New Black High Top Chucks New left black high top, top view. 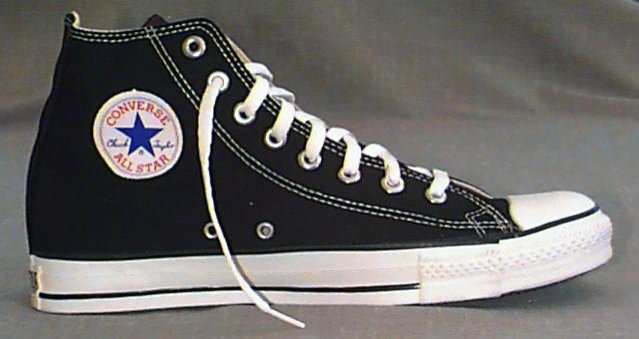 40 New Black High Top Chucks New left black high top, inside patch view. 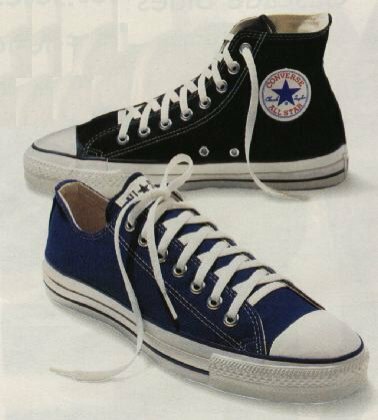 41 New Black High Top Chucks New left black high top, outside view. 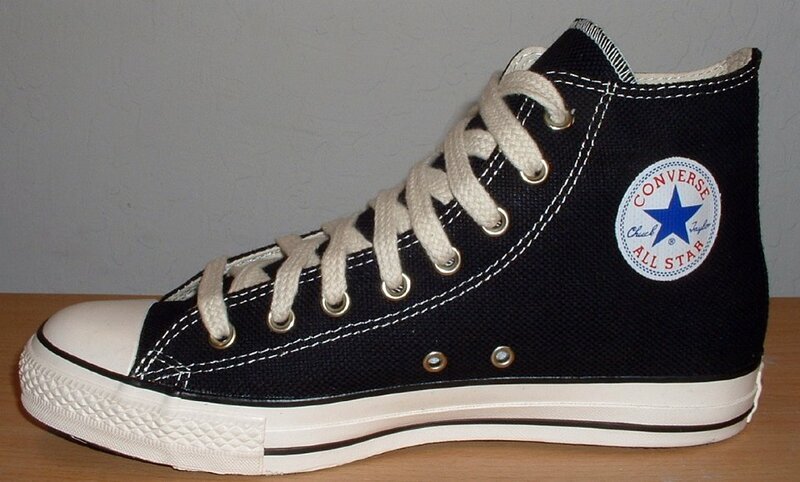 42 New Black High Top Chucks New right black high top with straight laces, inside patch view. 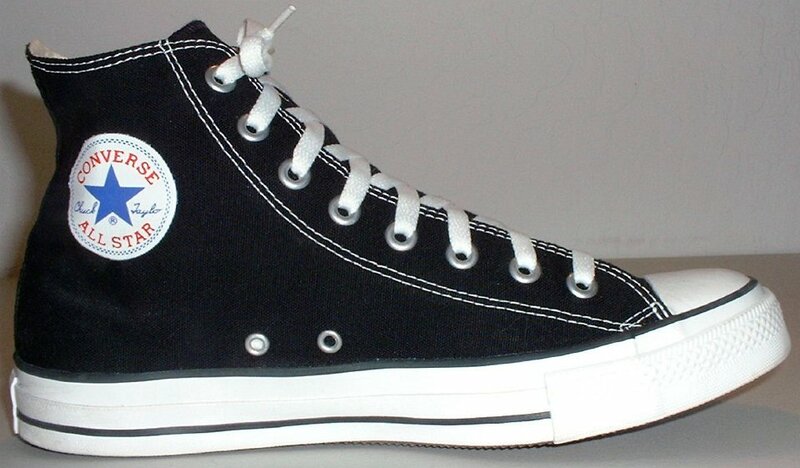 43 New Black High Top Chucks Right made in USA black high top, rear view. 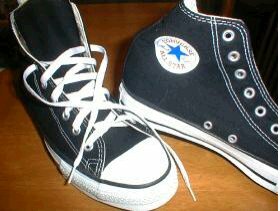 44 New Black High Top Chucks New made in USA black high tops, rear view. 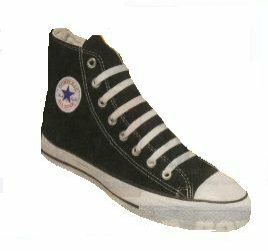 45 New Black High Top Chucks New black left high top, top view. 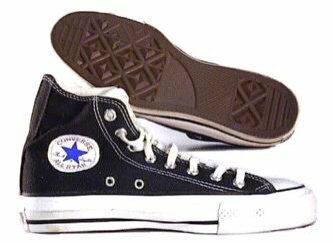 46 New Black High Top Chucks Black high tops, sole to sole. 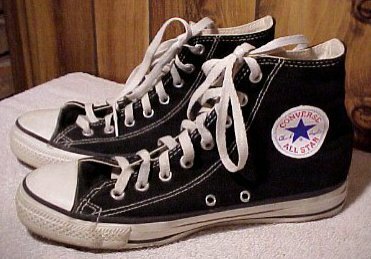 47 New Black High Top Chucks Black high tops, side view. 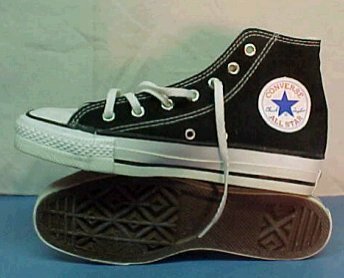 48 New Black High Top Chucks Black high tops, top view. 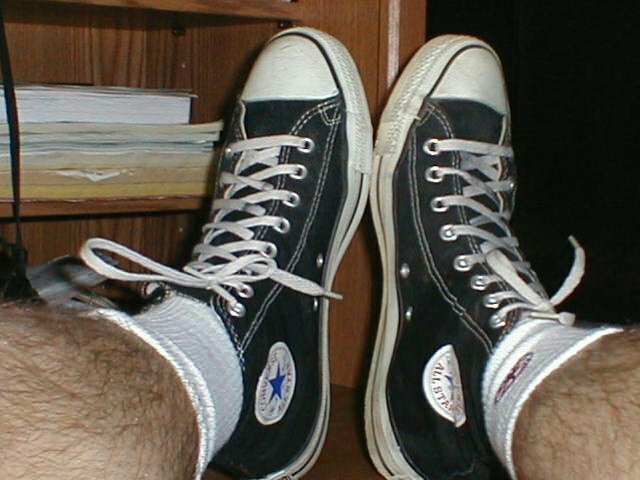 49 New Black High Top Chucks Black high top chucks, front view from the floor. 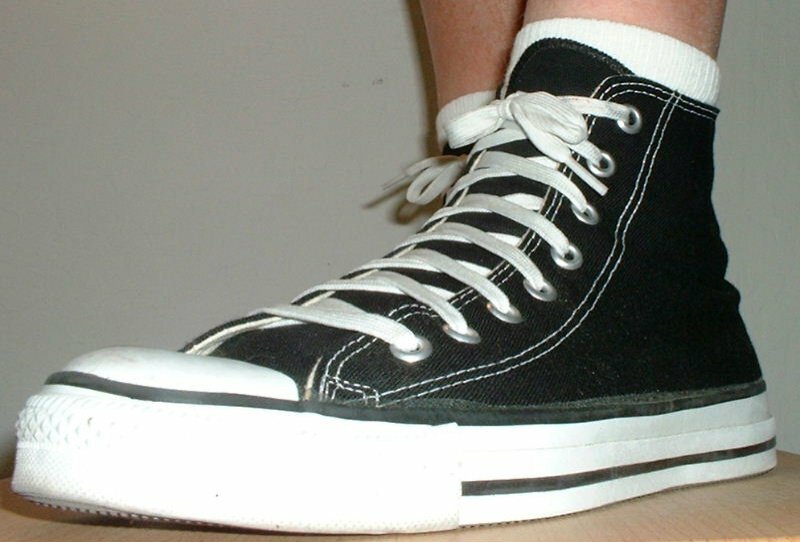 50 New Black High Top Chucks New black high tops, angled front view. 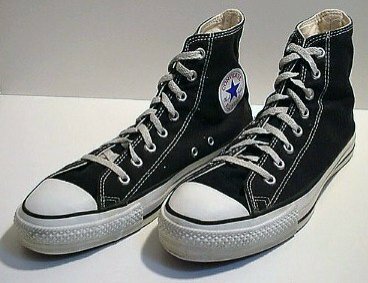 51 New Black High Top Chucks New black high tops, front and rear views. 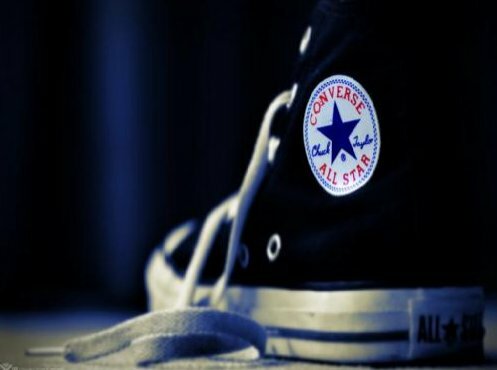 52 New Black High Top Chucks New black high tops, inside patch and sole views. 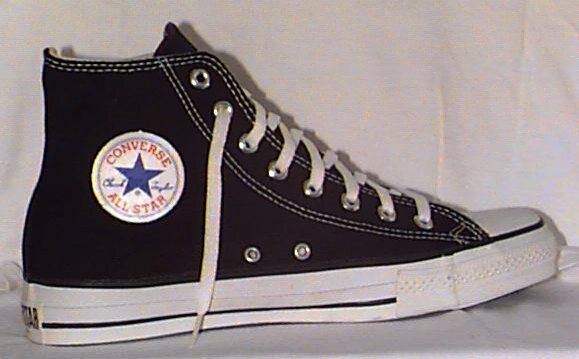 53 New Black High Top Chucks Black high tops, side view. 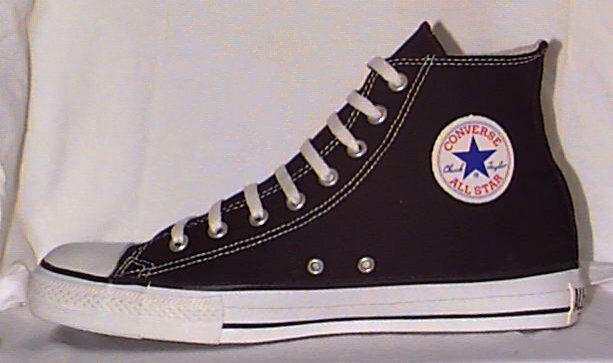 54 New Black High Top Chucks Black high tops, angled side view. 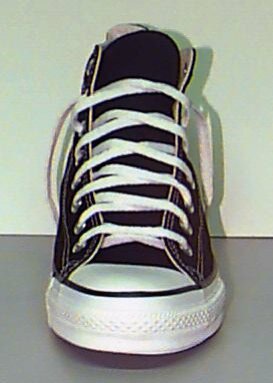 55 New Black High Top Chucks Black high tops, inside patch view. 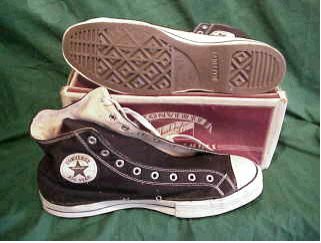 56 New Black High Top Chucks 1990s black high tops with box, crossed inside patch view. 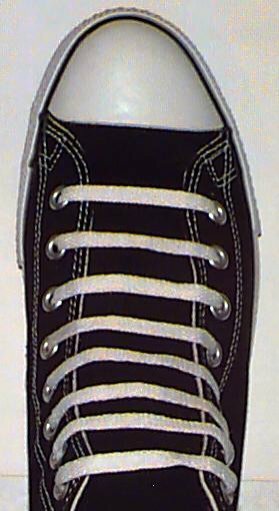 57 New Black High Top Chucks Black high tops, angled inside patch and partial sole view. 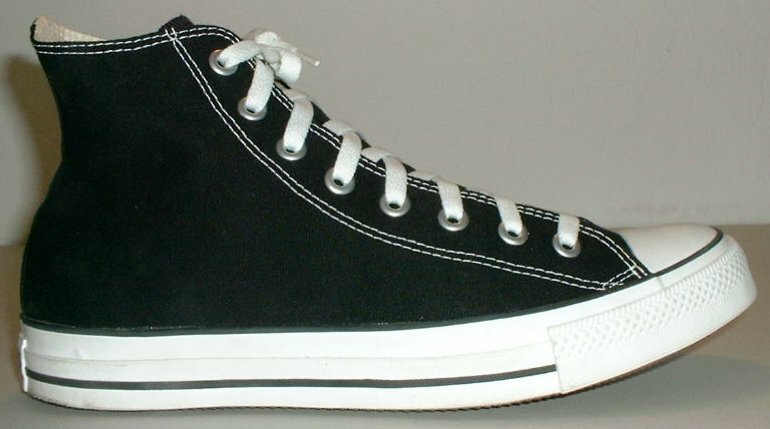 58 New Black High Top Chucks Black high tops, angled side view. 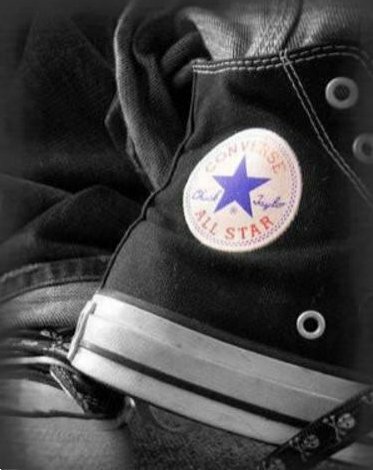 59 New Black High Top Chucks Left black high tops, inside patch view. 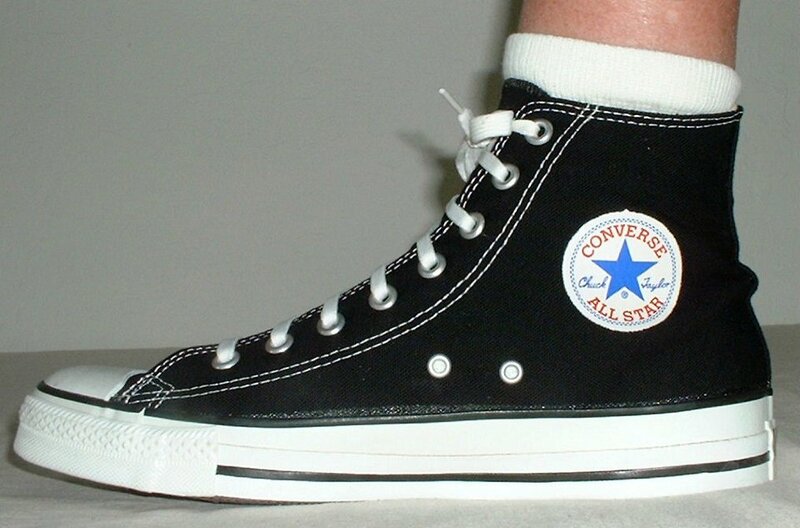 60 New Black High Top Chucks Black high tops, angled side view. 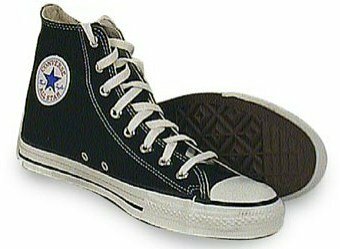 61 New Black High Top Chucks Black high tops, angled front and side views. 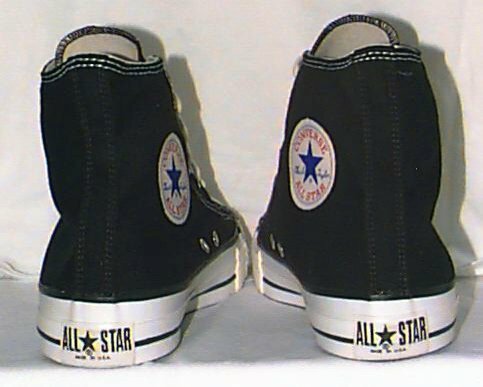 62 New Black High Top Chucks Painted black high tops, side view. 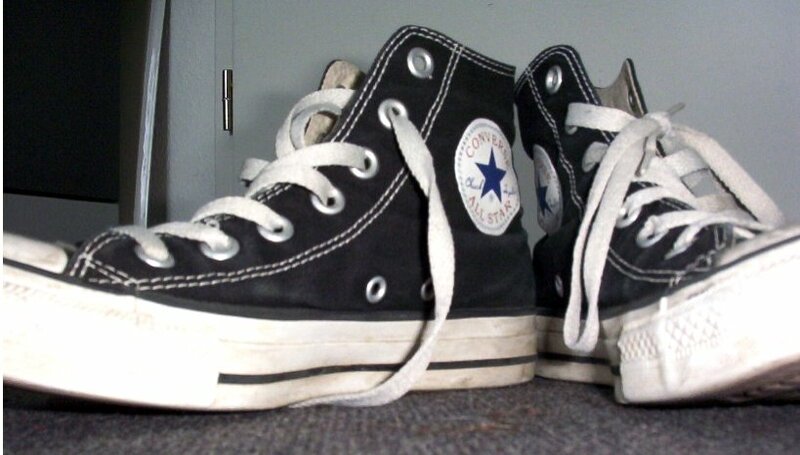 63 New Black High Top Chucks New black high tops with black laces, angled front and inside views. 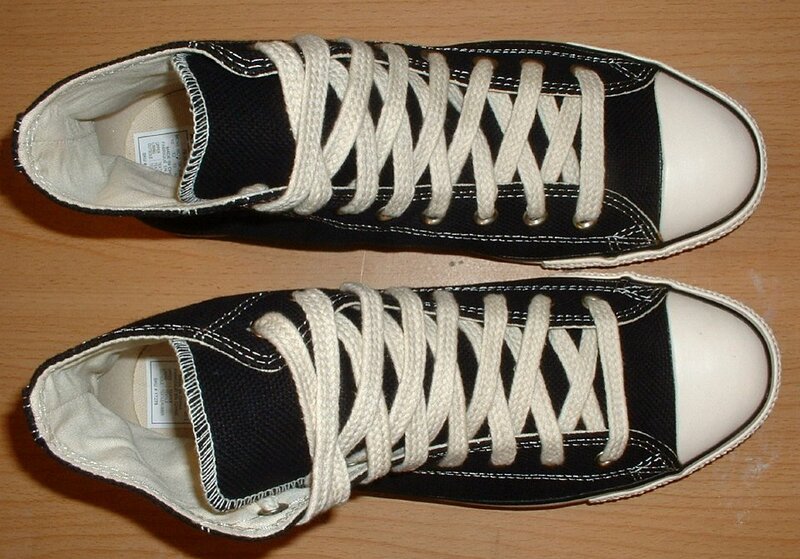 64 New Black High Top Chucks New black high tops with black laces, top view. 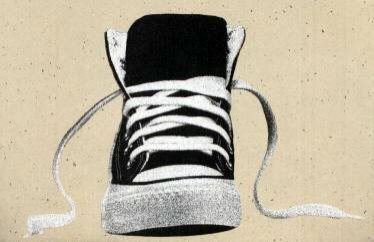 65 New Black High Top Chucks New black high tops with black laces, inside patch view. 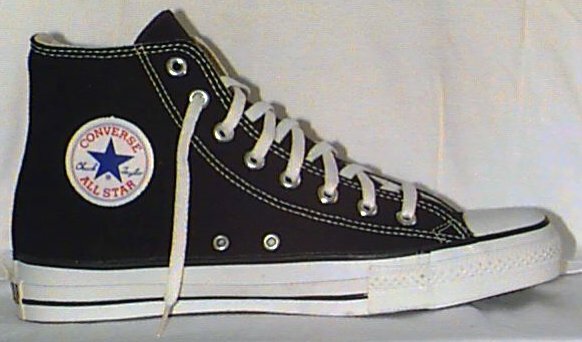 66 New Black High Top Chucks New right black high top with black laces, inside patch view. 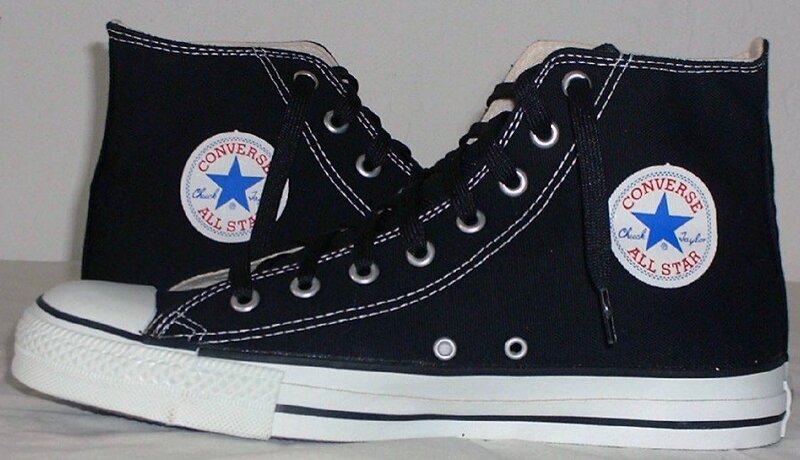 67 New Black High Top Chucks New black high tops with black laces, inside patch and sole views. 68 New Black High Top Chucks New black high tops, rear view. 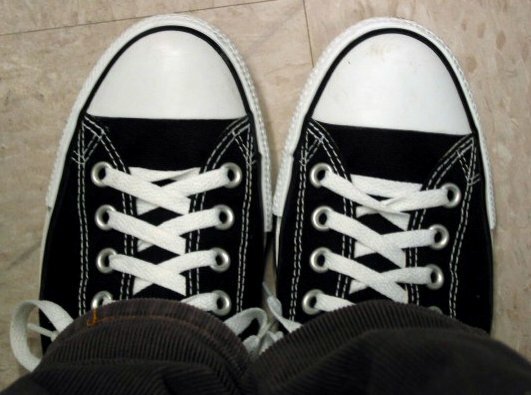 69 New Black High Top Chucks New black high tops, inside patch view. 70 New Black High Top Chucks New black high tops, closeup of the inside patch. 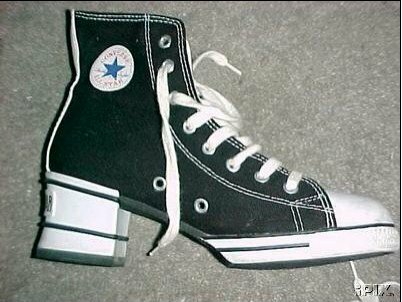 71 New Black High Top Chucks New black high tops, angled front and inside patch views. 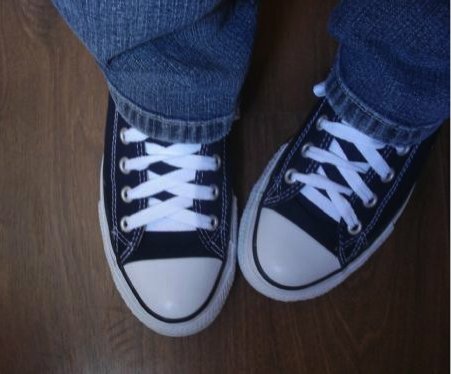 72 New Black High Top Chucks New black high tops with red piping, angled top view. 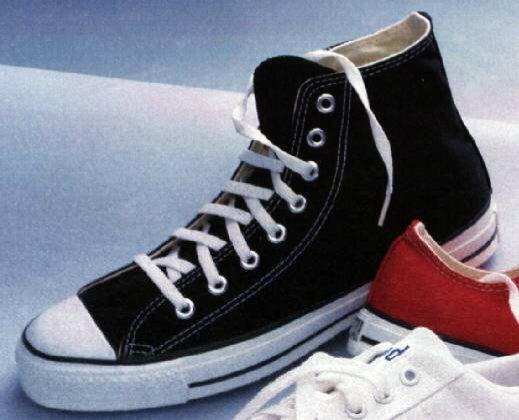 73 New Black High Top Chucks New black high tops with red piping, side view. 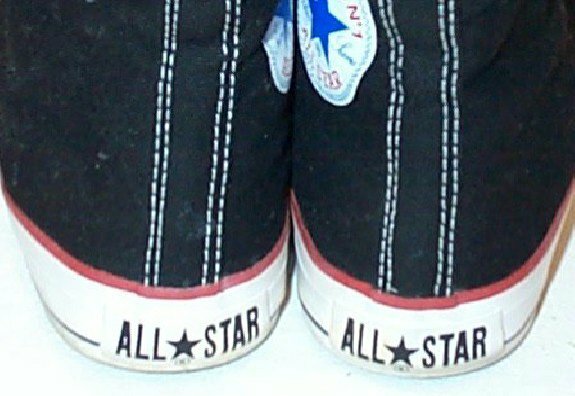 74 New Black High Top Chucks New black high tops with red piping, rear view. 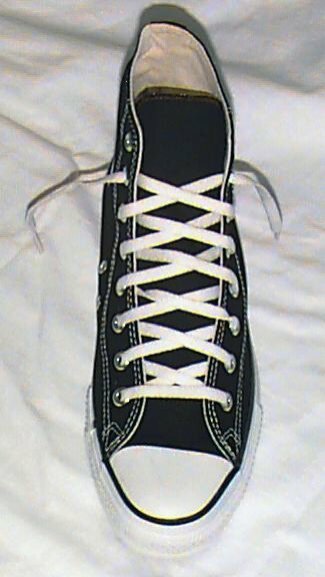 75 New Black High Top Chucks Brand new laced black high tops, front view. 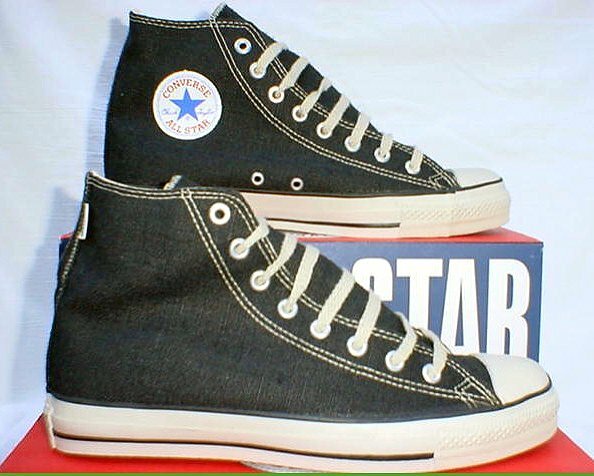 76 New Black High Top Chucks Brand new left black high top, inside patch view. 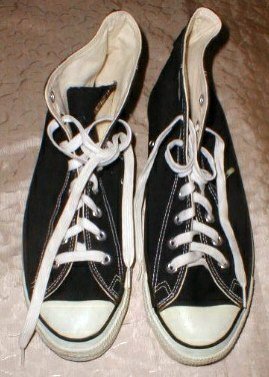 77 New Black High Top Chucks Brand new laced left black high top, outside view. 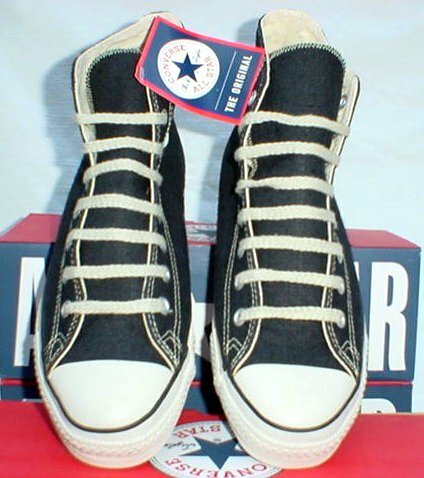 78 New Black High Top Chucks Brand new laced right black high top, inside patch view. 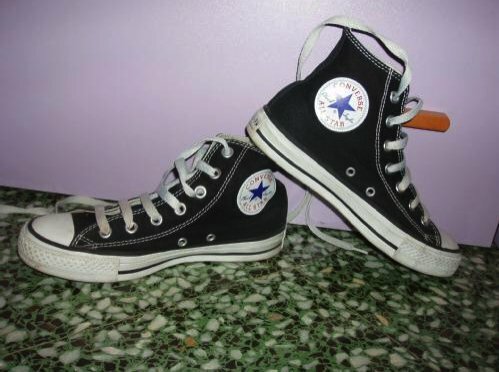 79 New Black High Top Chucks Brand new laced right black high top, outside view. 80 New Black High Top Chucks Brand new black high tops, rear view. 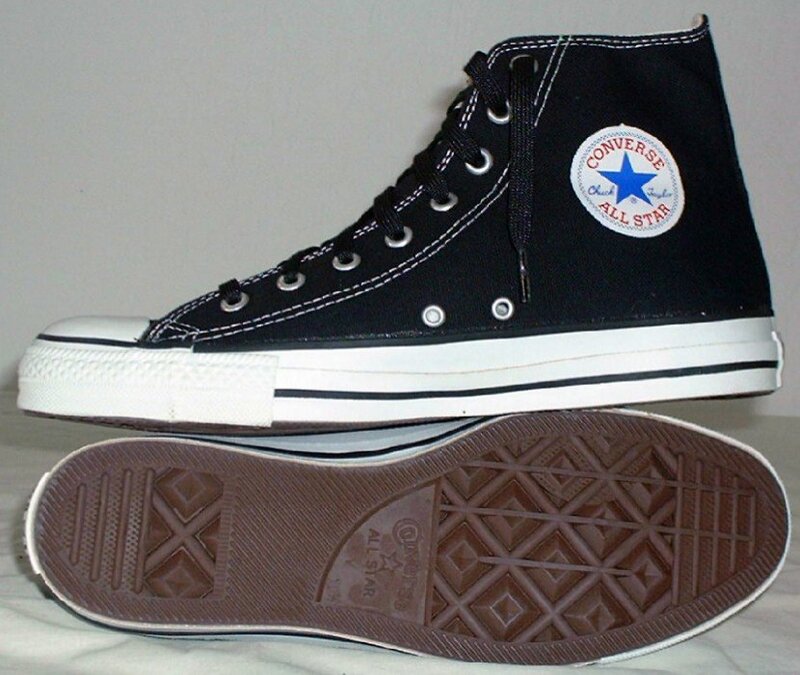 81 New Black High Top Chucks Brand new laced black high tops, inside patch and sole views. 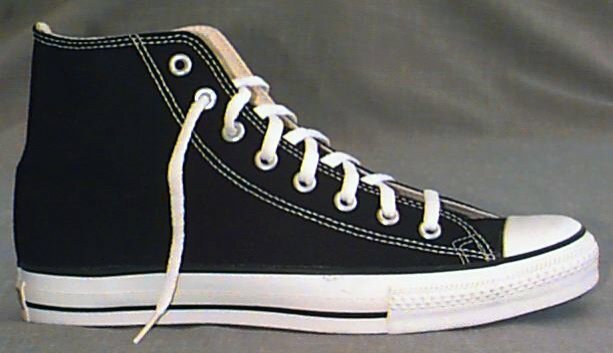 82 New Black High Top Chucks Brand new black high tops, angled outside view. 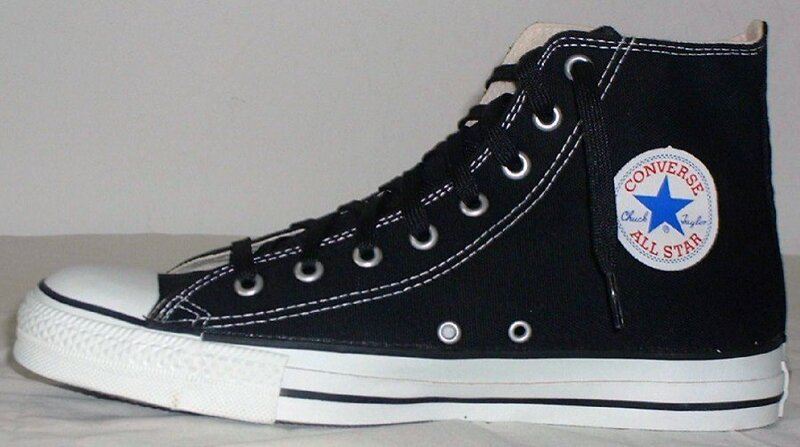 83 New Black High Top Chucks Brand new laced black high tops, inside patch view. 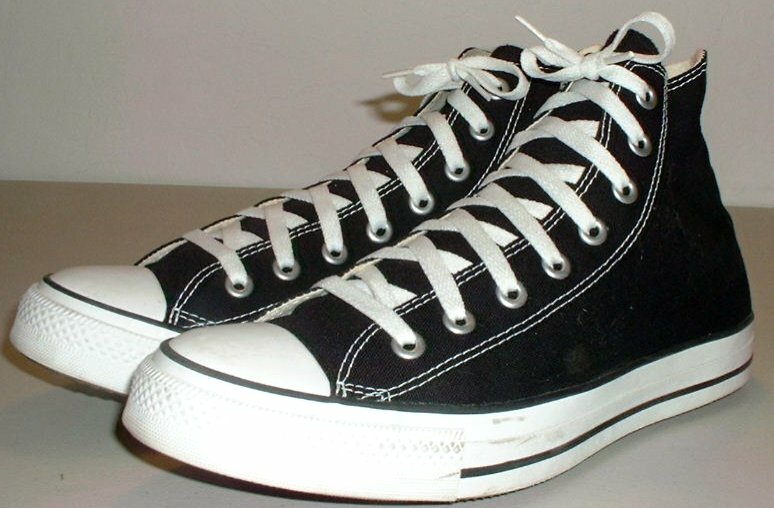 84 New Black High Top Chucks Brand new laced black high tops, top view. 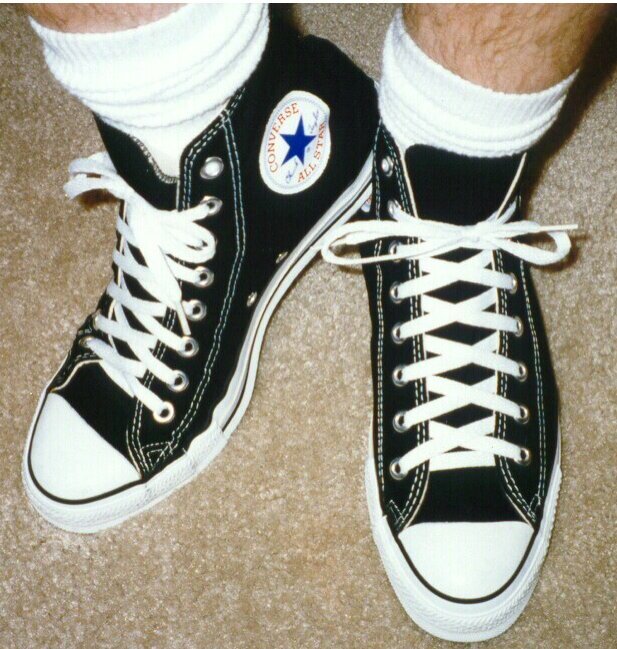 85 New Black High Top Chucks Inside patch views of black high tops. 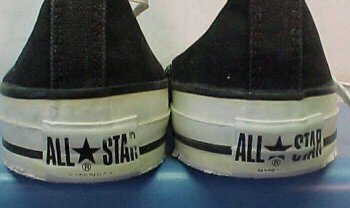 86 New Black High Top Chucks Inside patch and partial top view of black high top chucks. 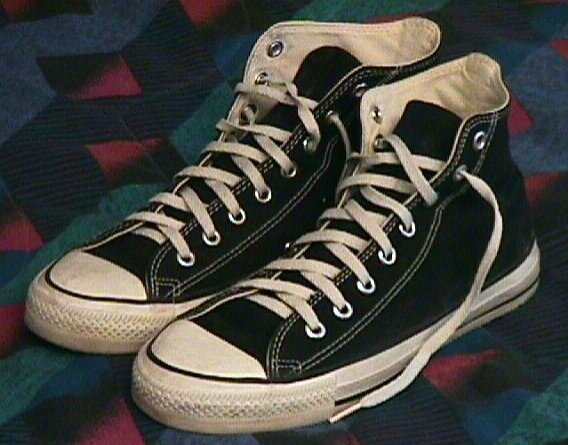 87 New Black High Top Chucks Angled rear view of a right black high top. 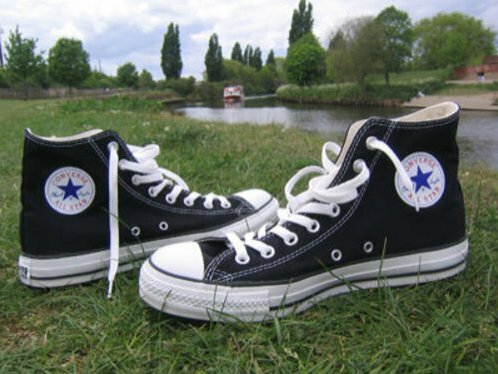 88 New Black High Top Chucks Inside patch view of a new pair of black high tops in a field by a river. 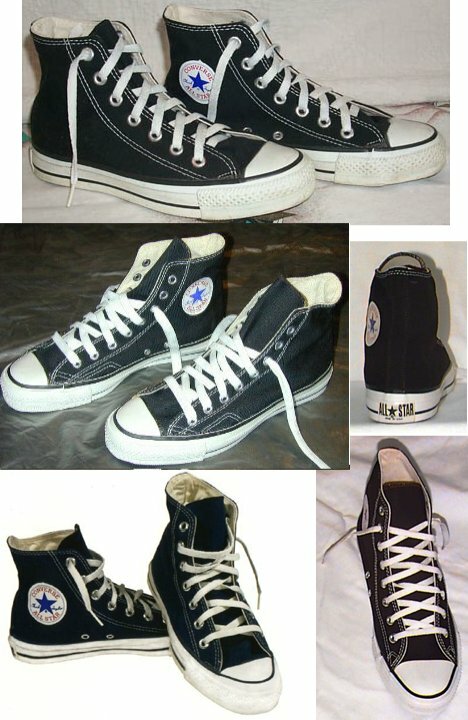 89 New Black High Top Chucks Collage of black high tops. 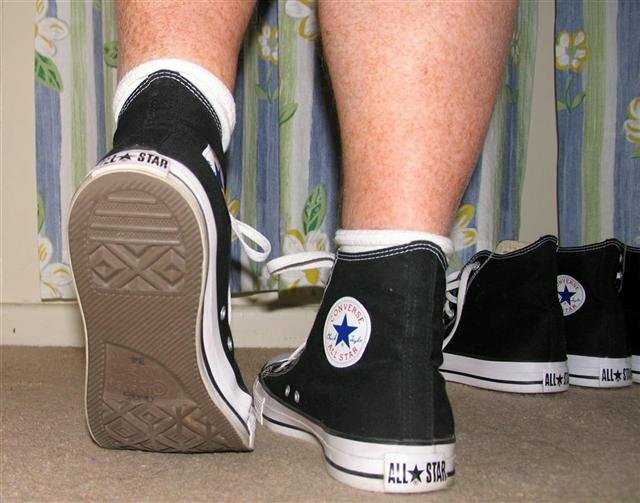 90 New Black High Top Chucks Top and inner sole view of black high tops. 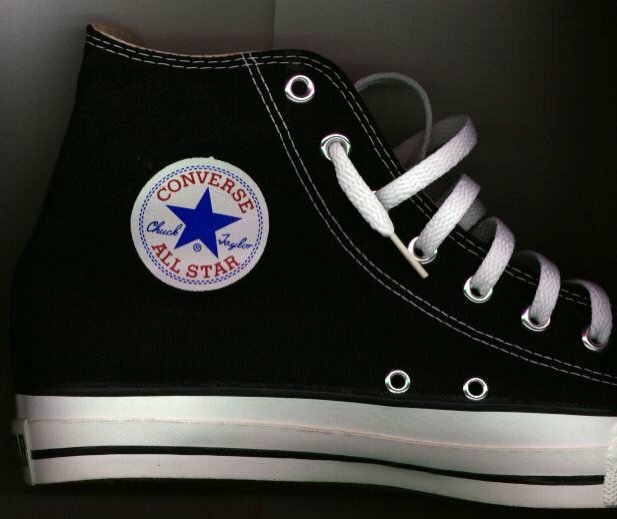 91 New Black High Top Chucks Design your own model of black high tops. 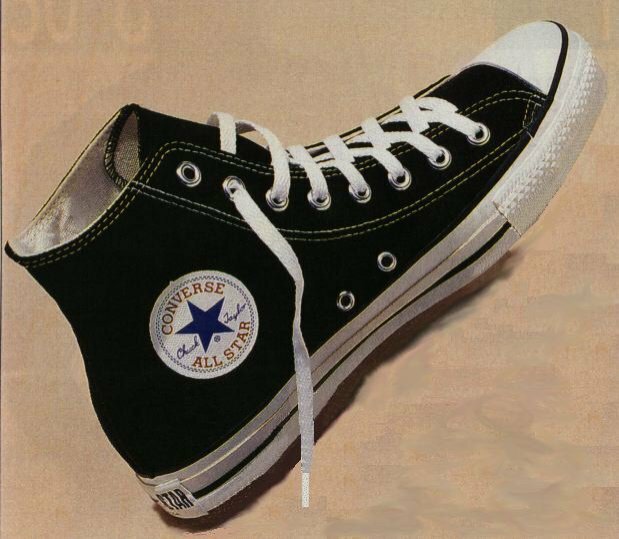 92 New Black High Top Chucks Picture from the side of a Chuck Taylor shoe box, late eighties and early nineties. 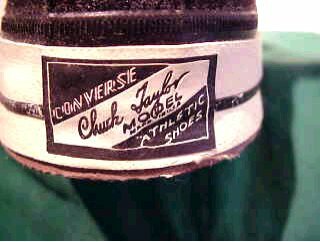 93 New Black High Top Chucks Picture from the side of a Chuck Taylor shoe box, late eighties and early nineties. 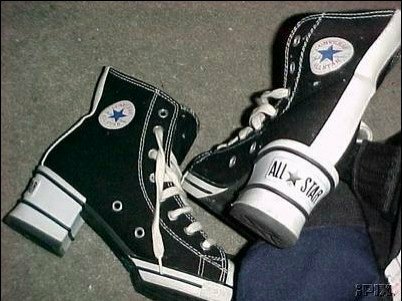 94 New Black High Top Chucks Picture from the top of a Chuck Taylor shoe box, late eighties and early nineties. 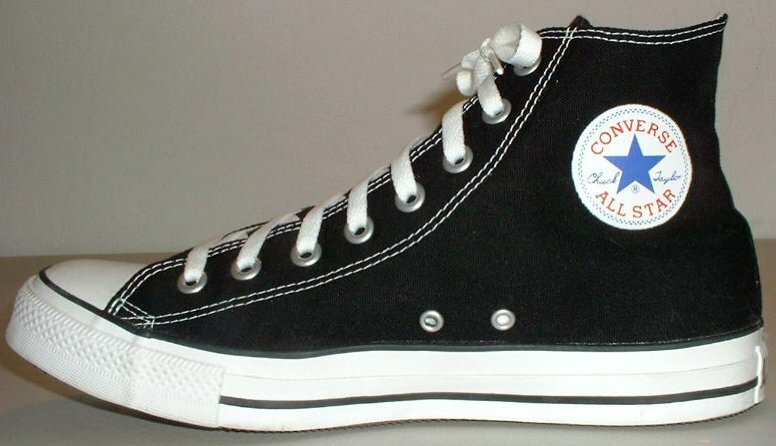 95 New Black High Top Chucks Made in USA heel patch on a black high top. 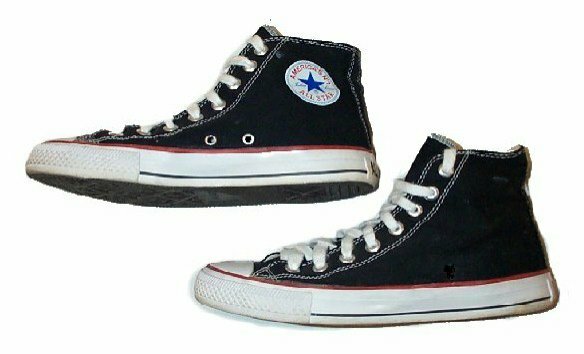 96 New Black High Top Chucks Vintage heel patch from 1970s pair of black high tops. 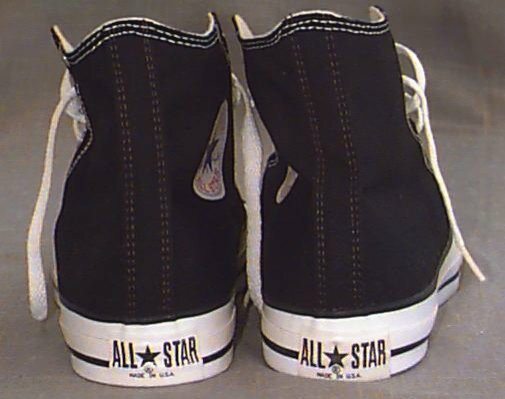 97 New Black High Top Chucks Heel patches from a Made in USA pair of black high tops. 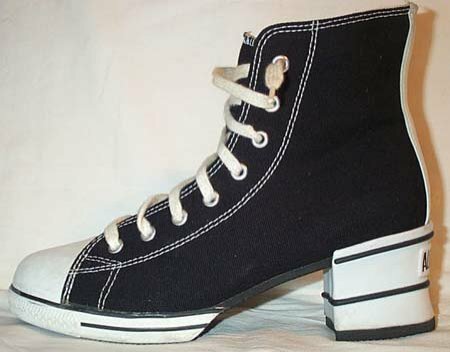 98 New Black High Top Chucks High heeled black high tops, angled front view. 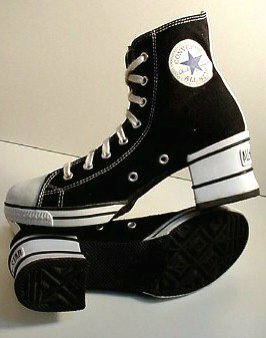 99 New Black High Top Chucks High heeled black high tops, front and rear views. 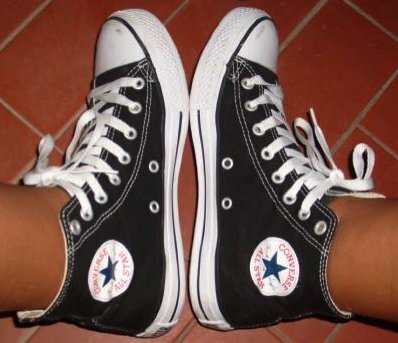 100 New Black High Top Chucks High heeled black high tops, inside patch and sole views. 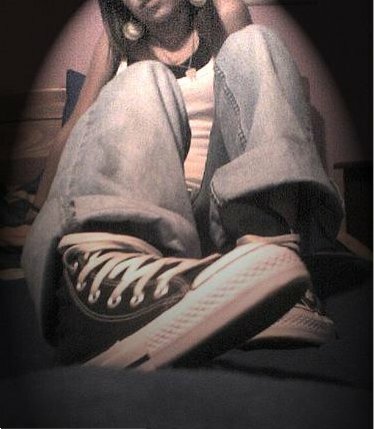 101 New Black High Top Chucks Left high heeled black high top, inside patch view. 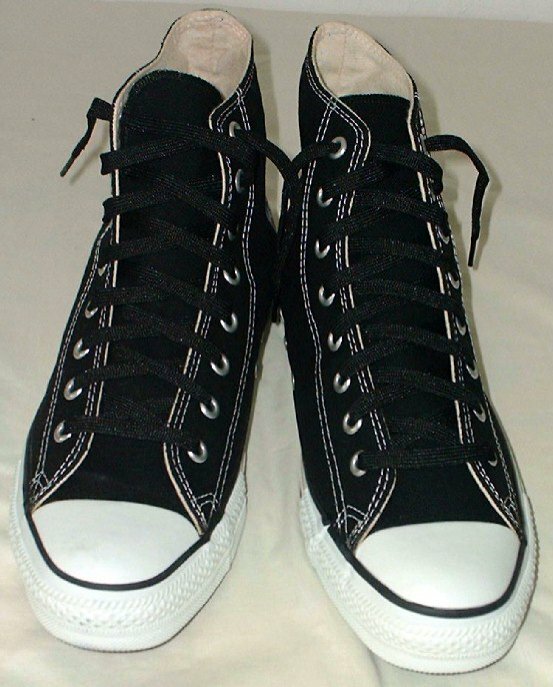 102 New Black High Top Chucks High heeled black high tops, inside patch and rear views. 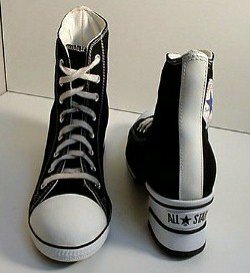 103 New Black High Top Chucks Left high heeled black high top, outside view. 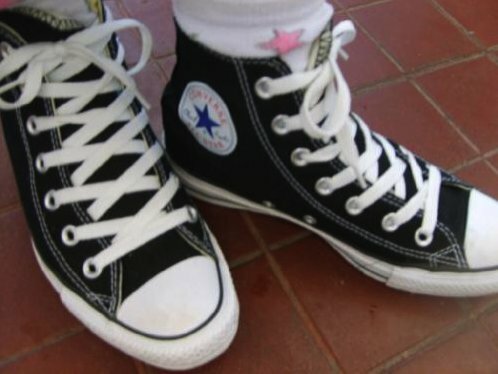 104 New Black High Top Chucks Left high heeled black high top, inside patch view. 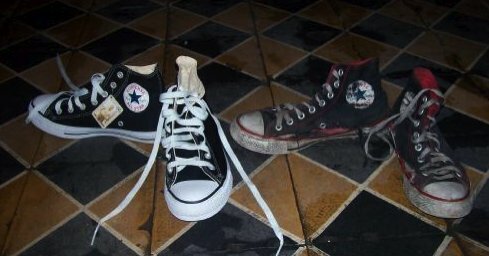 105 New Black High Top Chucks Contrast between a brand new and a well worn pair of black high top chucks. 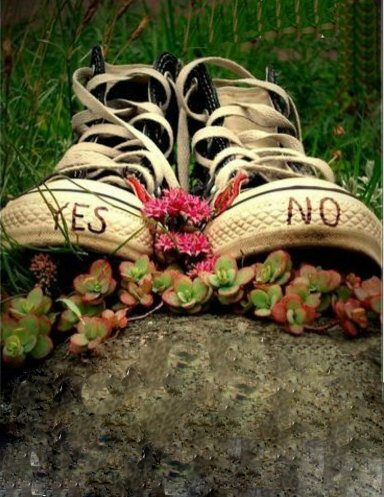 106 New Black High Top Chucks Black high tops in a garden posing a question. 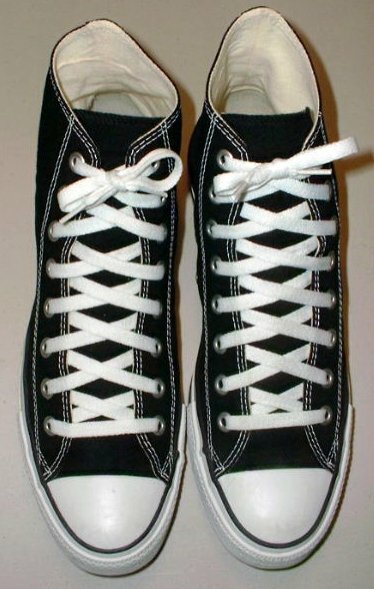 107 New Black High Top Chucks New left black high top with straight lacing. 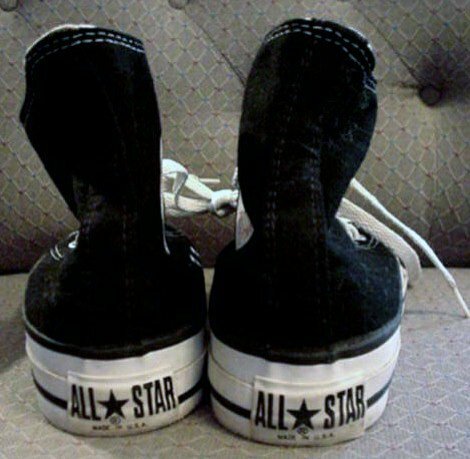 108 New Black High Top Chucks Closeup of the toe cap and top view of a right straightlaced black high top. 109 New Black High Top Chucks Top and inside patch view of a right straightlaced black high top. 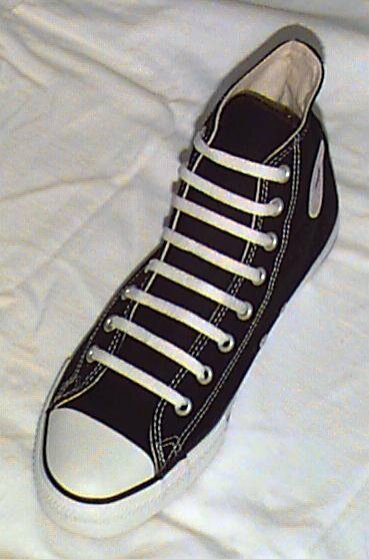 110 New Black High Top Chucks Top view of a right straightlaced black high top. 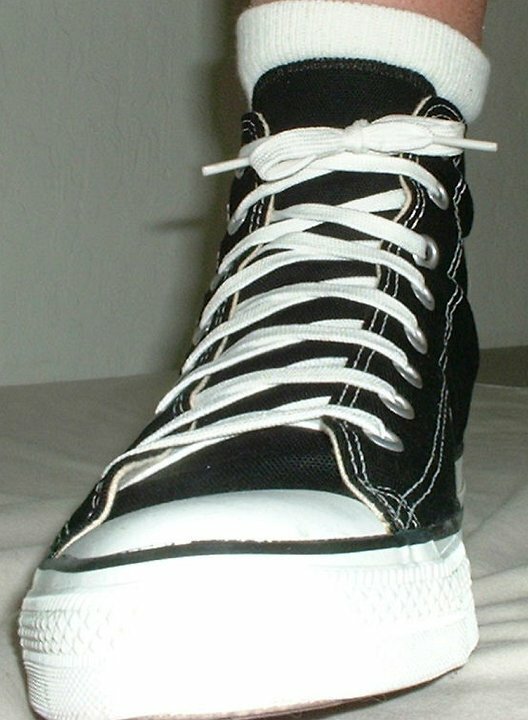 111 New Black High Top Chucks Angled top view of a right straightlaced black high top. 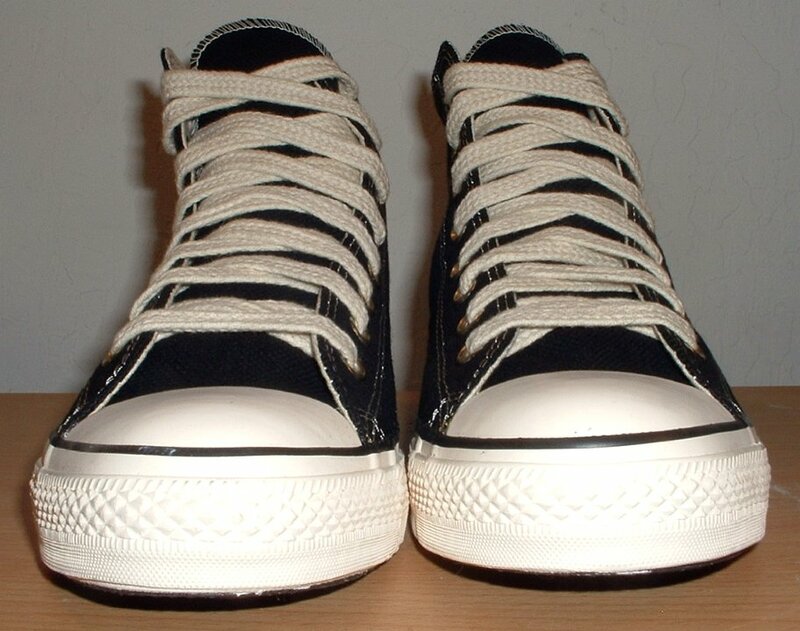 112 New Black High Top Chucks Angled side and top view of a straightlaced left black high top. 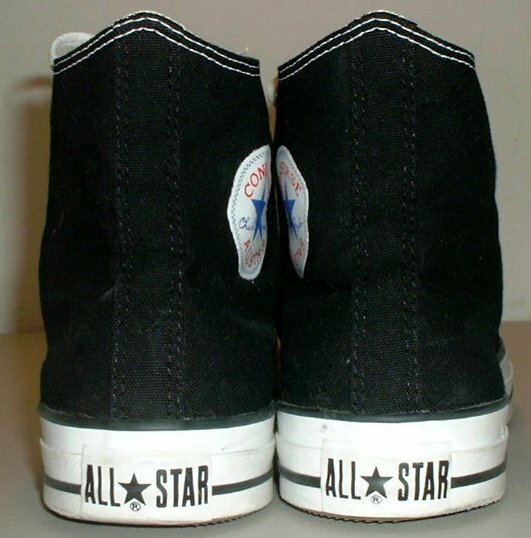 113 New Black High Top Chucks Closeup inside patch view of a right straightlaced black high top. 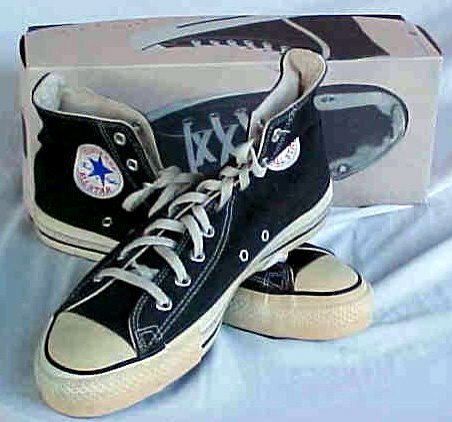 114 New Black High Top Chucks Straight laced brand new black high tops with box, side view. 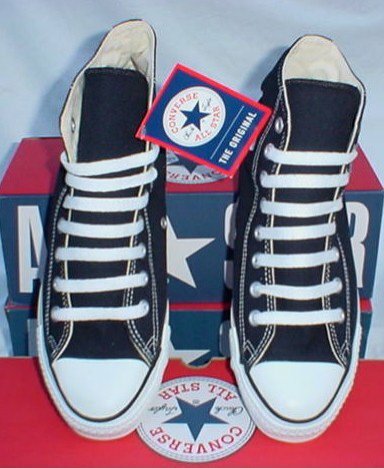 115 New Black High Top Chucks Straight laced brand new black high tops with box, top view. 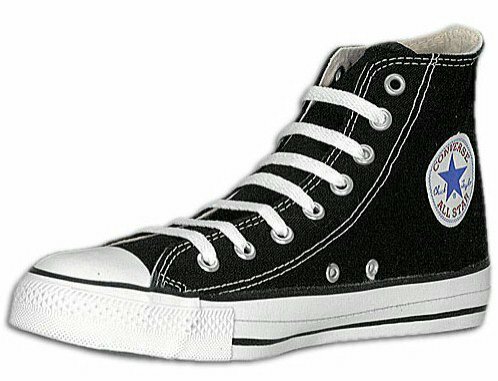 116 New Black High Top Chucks Brand new right high top with straight laces, angled inside patch view. 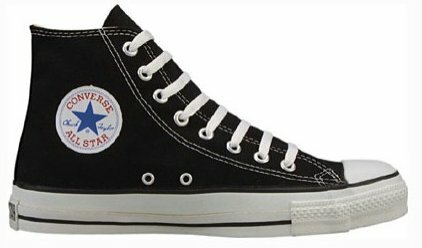 117 New Black High Top Chucks Brand new black high tops with straight lacing, inside patch views. 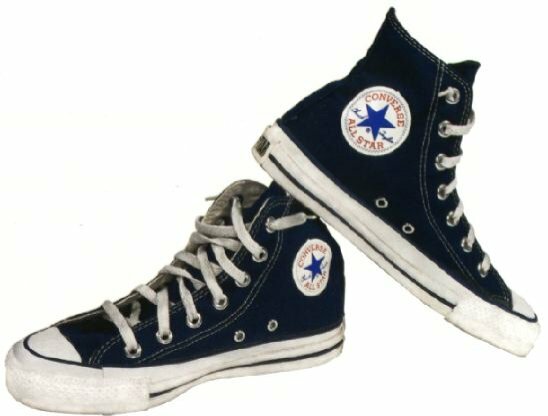 118 New Black High Top Chucks Brand new black high tops with straight lacing, front and rear views. 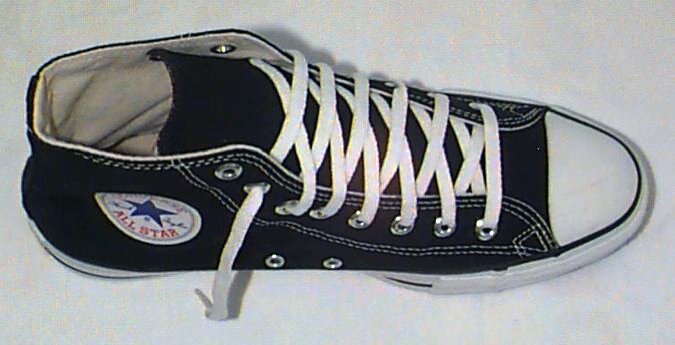 119 New Black High Top Chucks New right black high top with straight lacing, angled inside patch view. 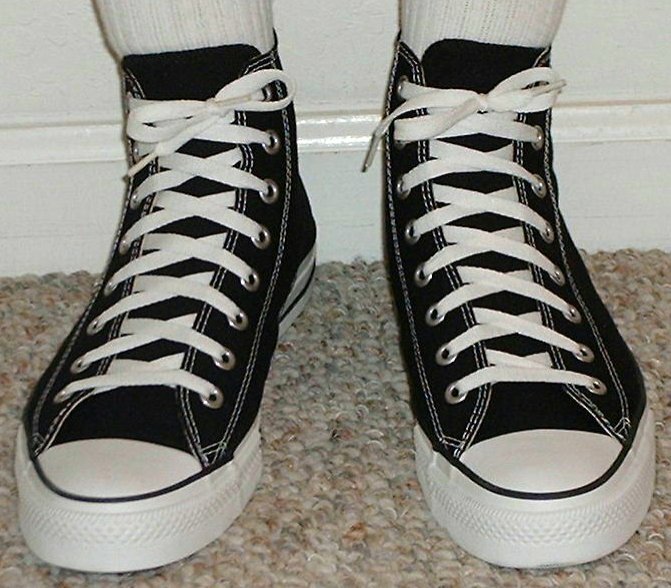 120 New Black High Top Chucks Wearing new black high tops, front top view. 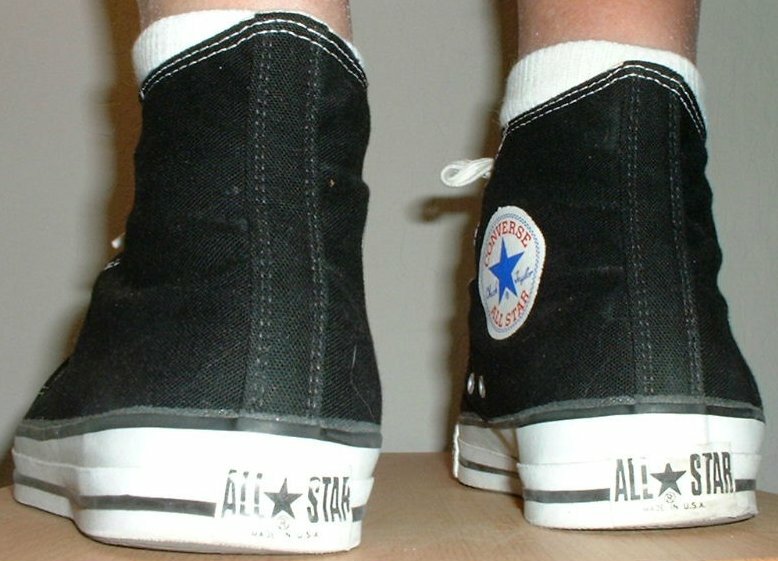 121 New Black High Top Chucks Wearing new black high tops, top view. 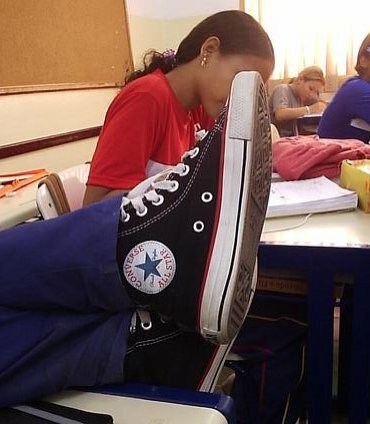 122 New Black High Top Chucks Lounging in black high tops, feet up view. 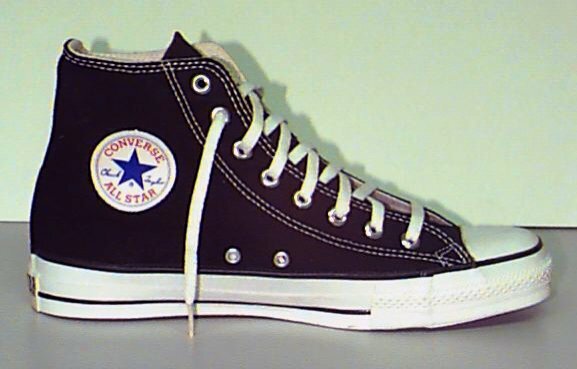 123 New Black High Top Chucks Top view of a left black high top. 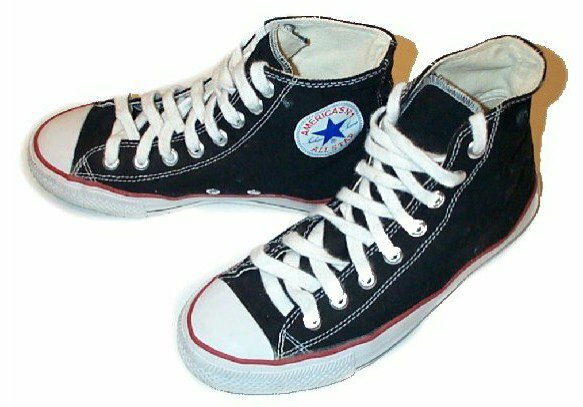 124 New Black High Top Chucks Wearing black high tops, front view. 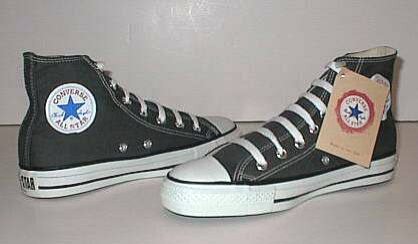 125 New Black High Top Chucks Wearing black high tops, angled front view. 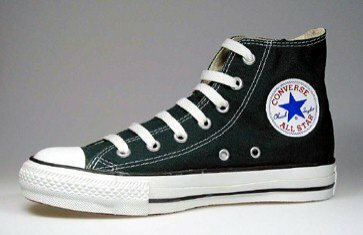 126 New Black High Top Chucks Wearing black high top chucks made in Viet Nam, front view. 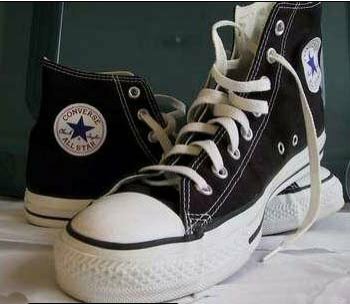 127 New Black High Top Chucks Wearing black high tops made in China, front view. 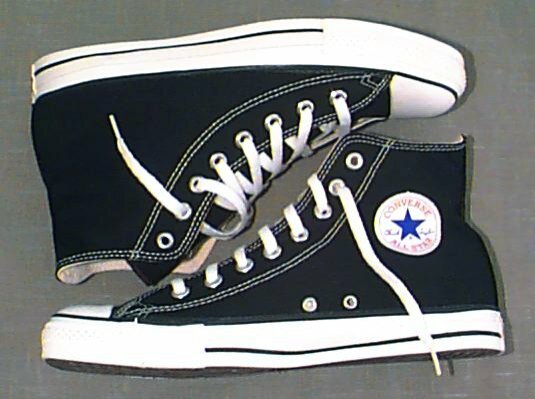 128 New Black High Top Chucks Wearing new black high tops, side view. 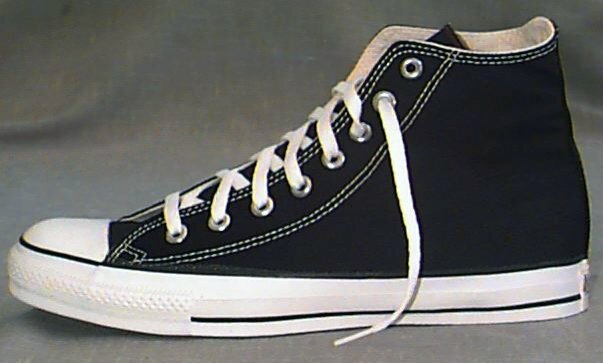 129 New Black High Top Chucks Wearing new black high tops, side view. 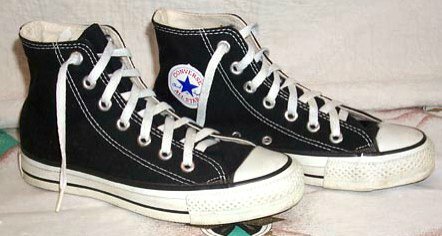 130 New Black High Top Chucks Wearing new black high tops, side and rear view. 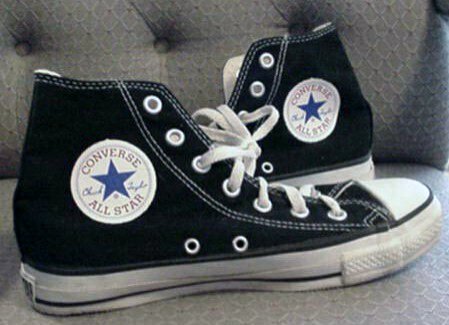 131 New Black High Top Chucks Stepping down in new black high tops, front view. 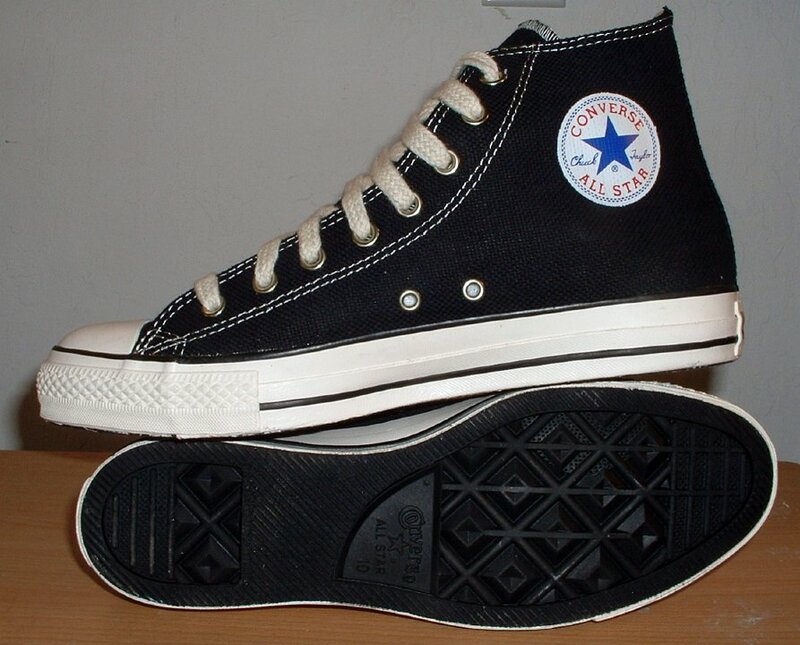 132 New Black High Top Chucks Stepping up in new black high tops, side view. 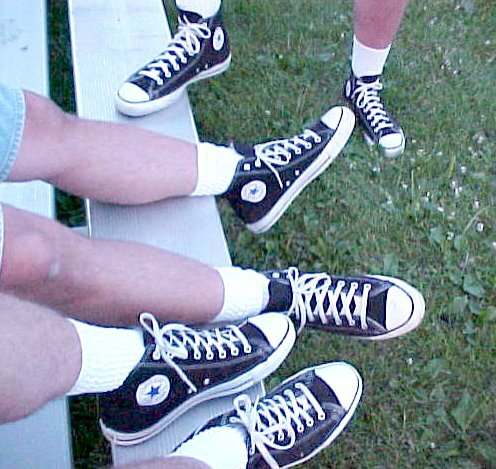 133 New Black High Top Chucks Guys wearing black high tops, shot 1. 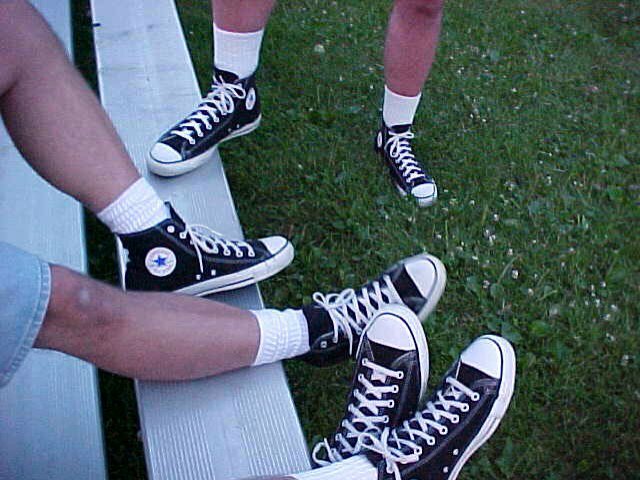 134 New Black High Top Chucks Guys wearing black high tops, shot 2. 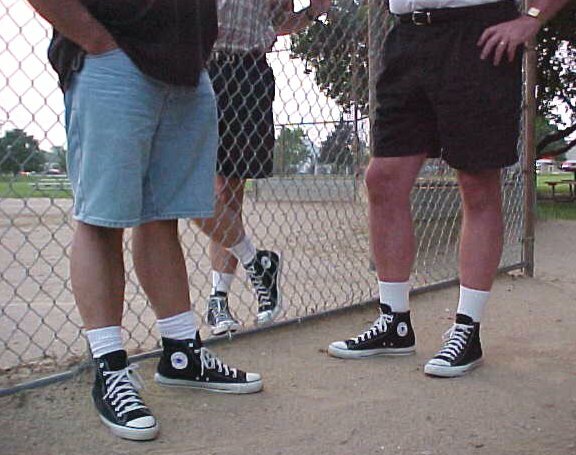 135 New Black High Top Chucks Guys wearing black high tops, shot 3. 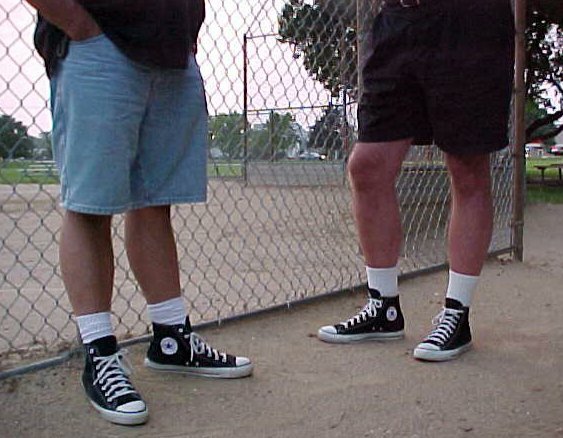 136 New Black High Top Chucks Guys wearing black high tops, shot 4. 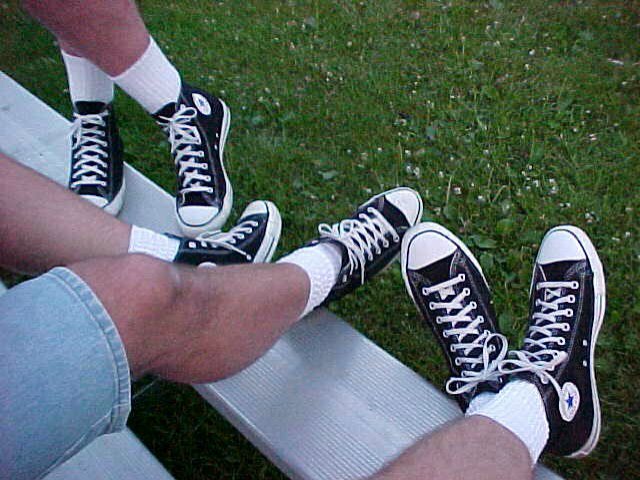 137 New Black High Top Chucks Guys wearing black high tops, shot 5. 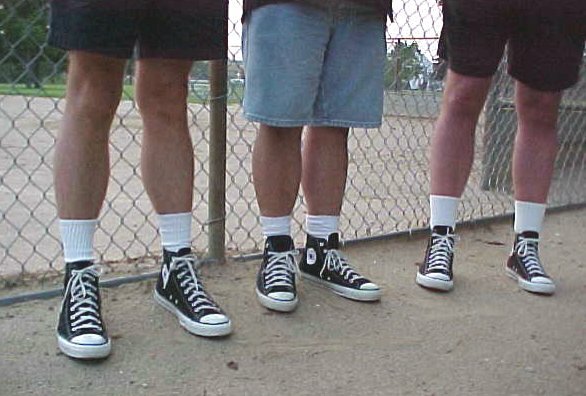 138 New Black High Top Chucks Guys wearing black high tops, shot 6. 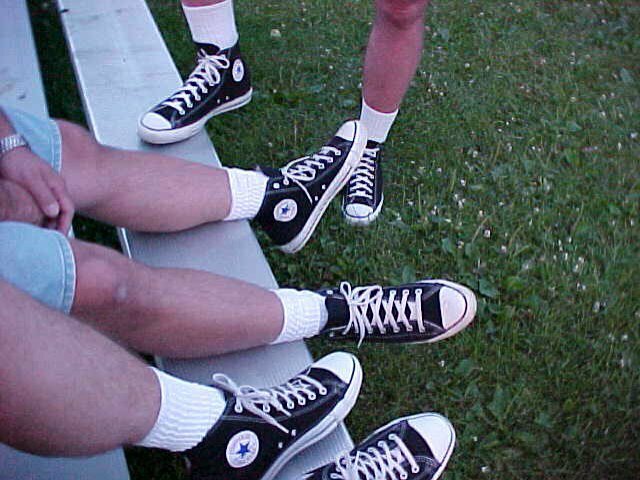 139 New Black High Top Chucks Guys wearing black high tops, shot 7. 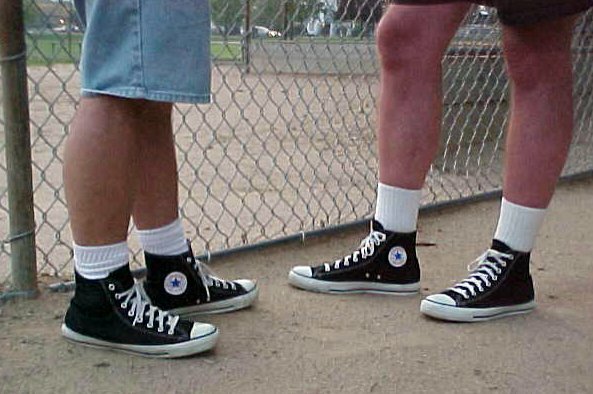 140 New Black High Top Chucks Guys wearing black high tops, shot 8. 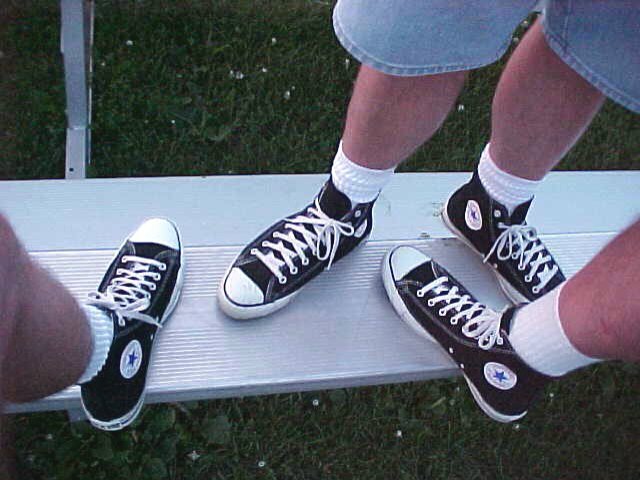 141 New Black High Top Chucks Guys wearing black high tops, shot 9. 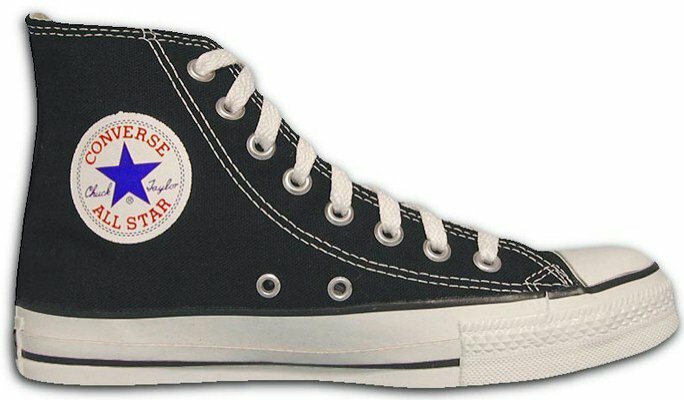 142 New Black High Top Chucks Wearing a new right black high top, inside patch view. 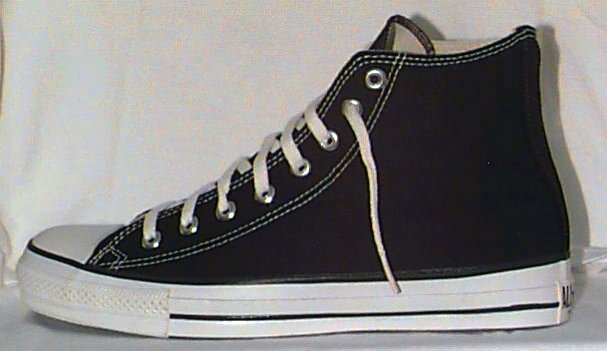 143 New Black High Top Chucks Wearing a new right black high top, front view. 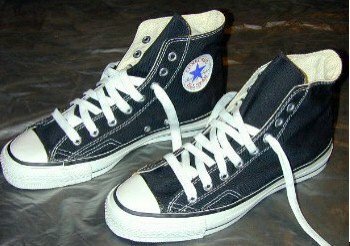 144 New Black High Top Chucks Wearing black high top chucks, front view. 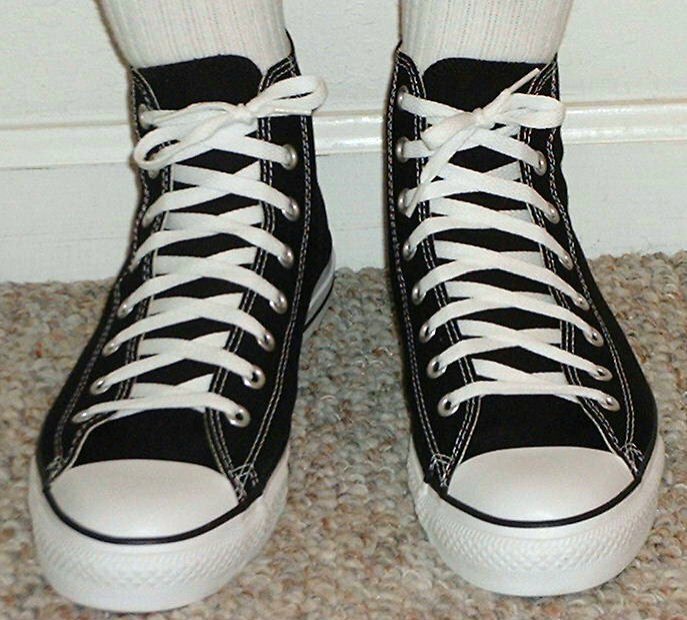 145 New Black High Top Chucks Wearing new black high tops, angled outside view. 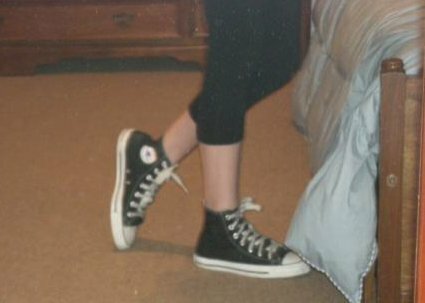 146 New Black High Top Chucks Wearing new black high tops, rear view. 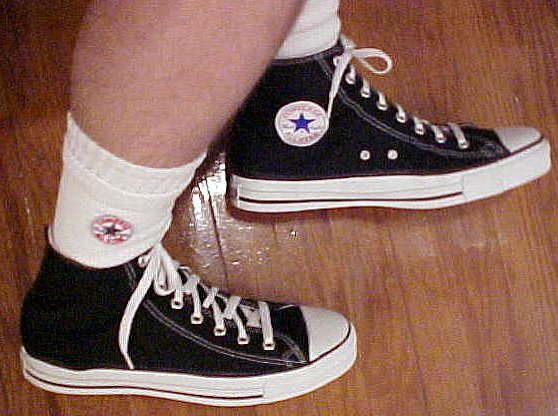 148 New Black High Top Chucks Wearing black high tops, rear view. 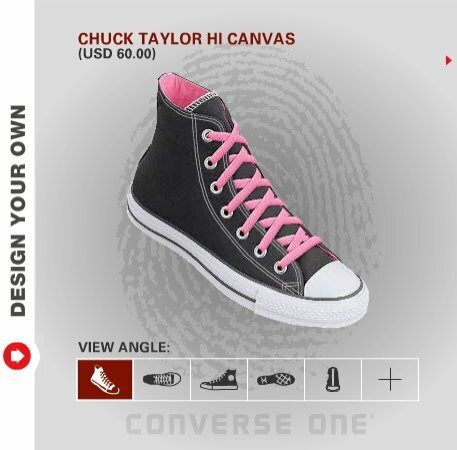 149 New Black High Top Chucks Lounging in class with new black high tops with red piping, side view. 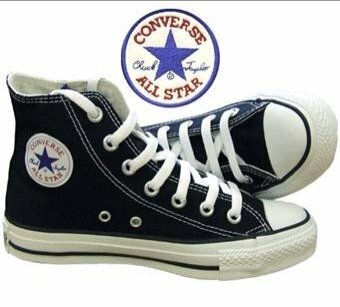 150 New Black High Top Chucks Wearing black high tops, top view. 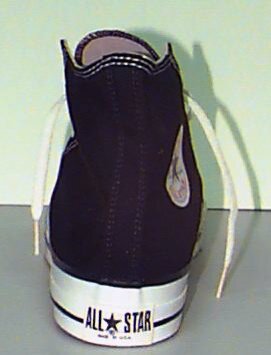 151 New Black High Top Chucks Balancing a black high top, front view. 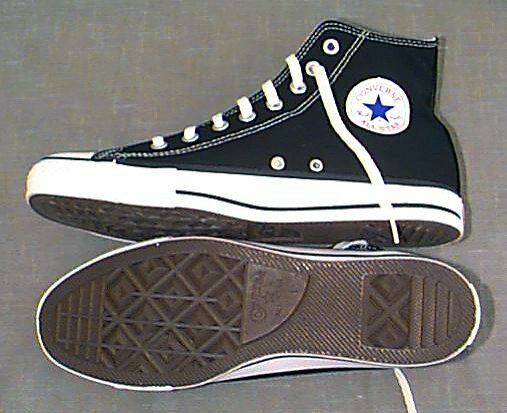 152 New Black High Top Chucks Wearing black high tops sole to sole, top view. 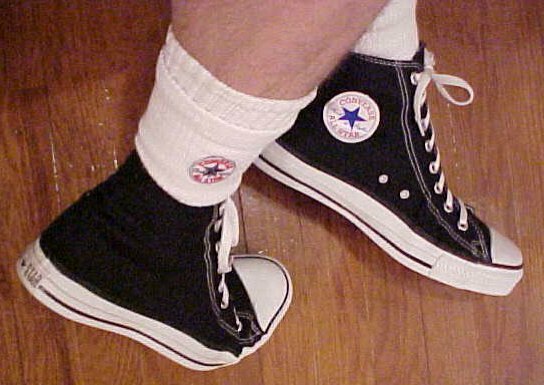 153 New Black High Top Chucks Wearing black high tops, insdie patch view. 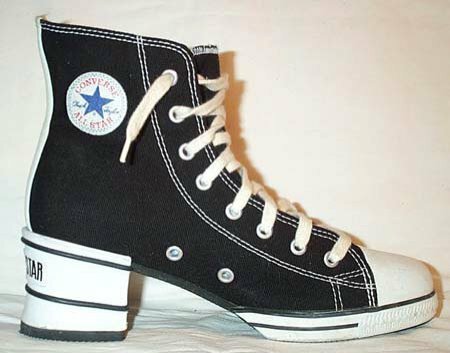 154 New Black High Top Chucks Wearing black high tops, angled side view. 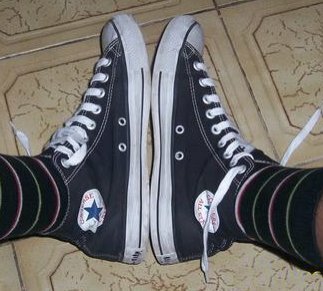 155 New Black High Top Chucks Wearing black high tops, front view. 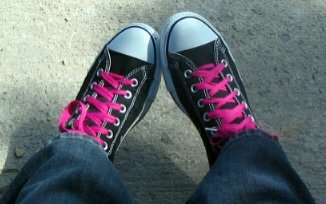 157 New Black High Top Chucks Sitting in new black high tops with neon pink laces, top view. 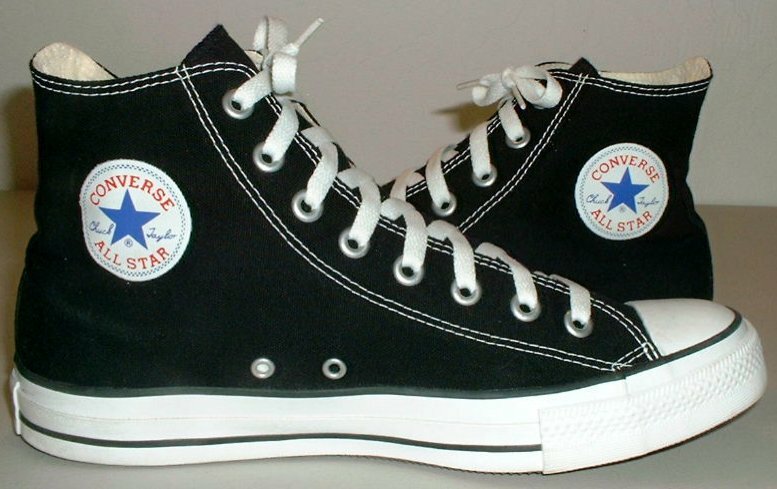 158 New Black High Top Chucks Wearing black high tops, left side view. 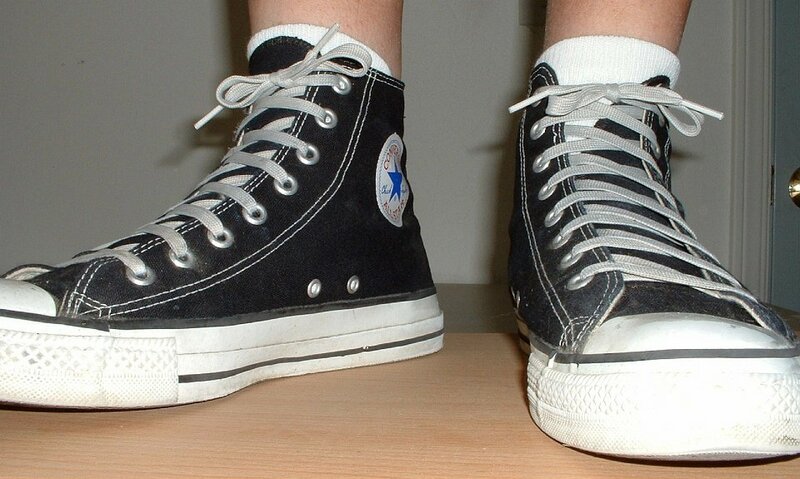 159 New Black High Top Chucks Pausing in a pair of black high tops. 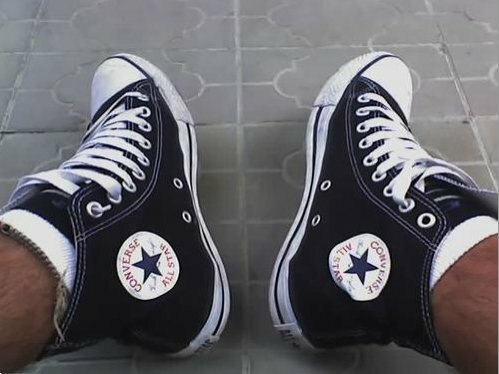 161 New Black High Top Chucks Stepping out in a new pair of black high tops. 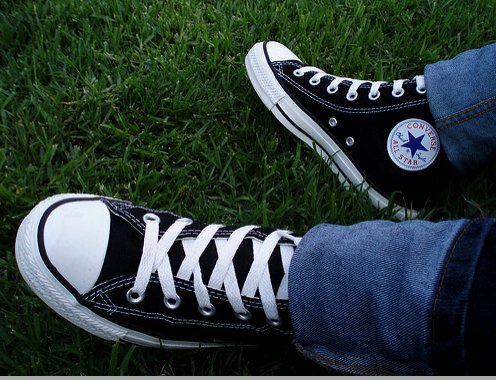 162 New Black High Top Chucks Relaxing on a swing. 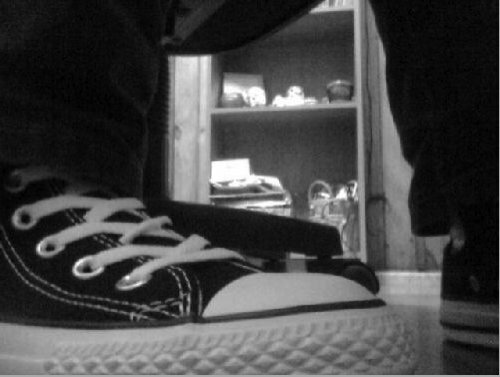 163 New Black High Top Chucks Top view of some brand new black high tops. 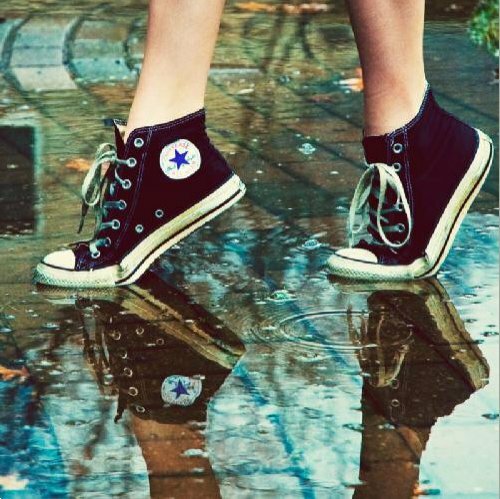 164 New Black High Top Chucks Black high tops reflected in water on a tiled path. 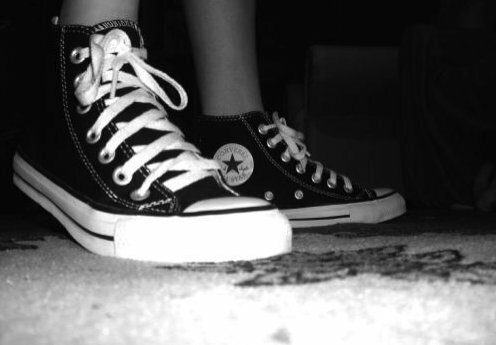 165 New Black High Top Chucks Inside patch views of a brand new pair of black high tops. 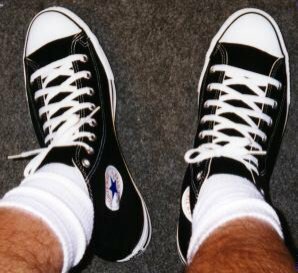 166 New Black High Top Chucks Wearing a new pair of black high tops, view from the right. 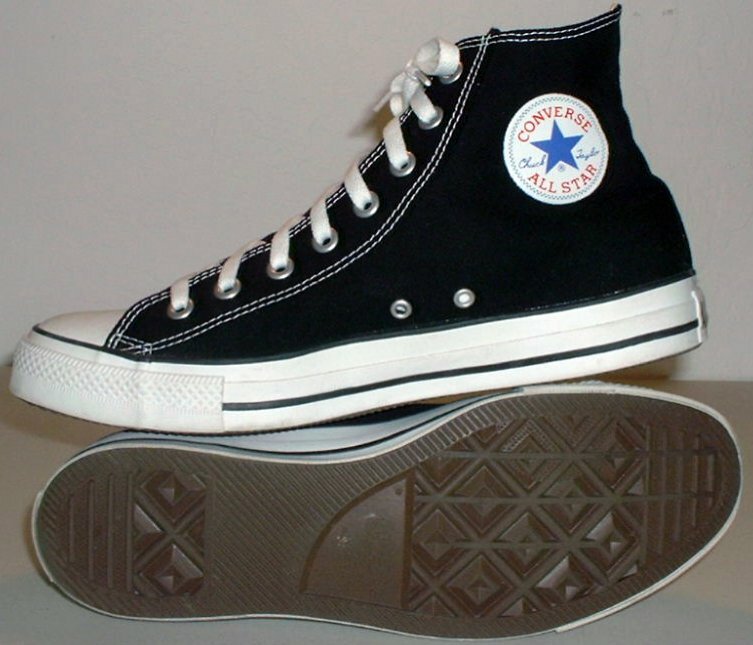 167 New Black High Top Chucks Closeup of a right black high top. 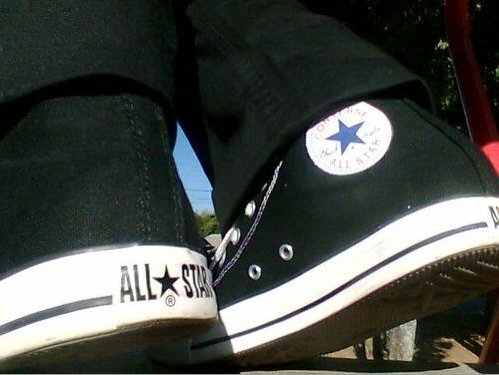 168 New Black High Top Chucks Outside wearing brand new black high tops, top and inside patch views. 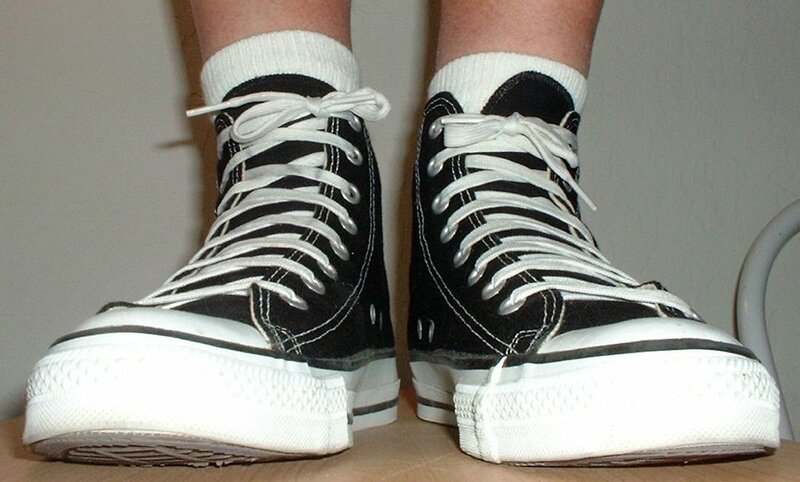 170 New Black High Top Chucks Wearing a new pair of black high tops with black laces shown on a deck, shot 2. 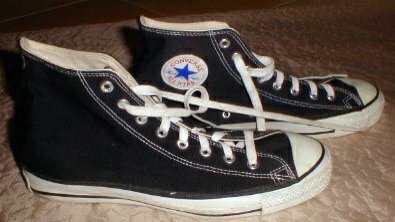 171 New Black High Top Chucks Wearing black high tops with pirate laces. 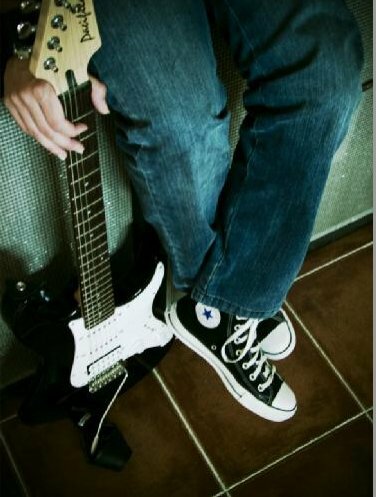 172 New Black High Top Chucks Guitar player sporting a brand new pair of black high tops.